There are no technology shortcuts to good education. For primary and secondary schools that are underperforming or limited in resources, efforts to improve education should focus almost exclusively on better teachers and stronger administrations. Information technology, if used at all, should be targeted for certain, specific uses or limited to well-funded schools whose fundamentals are not in question. To back these assertions, I’ll draw on four different lines of evidence. The history of electronic technologies in schools is fraught with failures. Computers are no exception, and rigorous studies show that it is incredibly difficult to have positive educational impact with computers. Technology at best only amplifies the pedagogical capacity of educational systems; it can make good schools better, but it makes bad schools worse. Technology has a huge opportunity cost in the form of more effective non-technology interventions. Many good school systems excel without much technology. The inescapable conclusion is that significant investments in computers, mobile phones, and other electronic gadgets in education are neither necessary nor warranted for most school systems. In particular, the attempt to use technology to fix underperforming classrooms (or to replace non-existent ones) is futile. And, for all but wealthy, well-run schools, one-to-one computer programs cannot be recommended in good conscience. All of the evidence stands on its own, but I will tie them together with a single theory that explains why technology is unable to substitute for good teaching: Quality primary and secondary education is a multi-year commitment whose single bottleneck is the sustained motivation of the student to climb an intellectual Everest. Though children are naturally curious, they nevertheless require ongoing guidance and encouragement to persevere in the ascent. Caring supervision from human teachers, parents, and mentors is the only known way of generating motivation for the hours of a school day, to say nothing of eight to twelve school years. While computers appear to engage students (which is exactly their appeal), the engagement swings between uselessly fleeting at best and addictively distractive at worst. No technology today or in the foreseeable future can provide the tailored attention, encouragement, inspiration, or even the occasional scolding for students that dedicated adults can, and thus, attempts to use technology as a stand-in for capable instruction are bound to fail. Subscribe now to follow this Educational Technology Debate via email updates sent to your inbox. For anyone concerned with high-tech in schools, two books are required reading as histories of technology and education. The first is Larry Cuban’s Teachers and Machines: The Classroom Use of Technology Since 1920, which overviews the history of films, radio, television, and computers in American education up to the early 1980s. The second is Todd Oppenheimer’s The Flickering Mind: Saving Education from the False Promise of Technology. Oppenheimer also focuses primarily on US education, but updates and expands on Cuban’s findings for computers in schools through the early 2000s. Both authors consider the record of technology in schools and find it wanting. They reveal that while technologies can have positive educational impact in restricted instances, successes pale in comparison to failures overall. By not knowing this past history, we seem condemned to repeat it over and over and over. The hubris and failures of technology projects are detailed by Cuban and Oppenheimer, but with hindsight available to all of us, we know that none of these technologies has delivered on their promises. If anything, we have become wary of their educational power. For example, on the one hand, television excels as a medium for delivering information. Seduced by this capacity in 1964, Wilbur Schramm, the father of communications studies, asked “What if the full power and vividness of television teaching were to be used to help the schools develop a country’s new educational pattern?” He was thinking, in particular, of mass media’s potential to transform education for developing countries. The transformation never occurred, probably because as motivational as television can be, it still falls far short of generating the motivation required for education. For every person who falls prey to Madison Avenue’s latest advertisement, hundreds of others just ignore it or turn the channel – if that’s true of the most persuasive television commercials, why should we expect television to be able to regularly sustain the motivation (and not just the attention) of easily distracted children to do the cognitive push-ups that education demands? In the meanwhile, many of us have come to sense television’s shortcomings. Educated parents restrict their children’s time in front of the TV, and many households ban television altogether – at its best, television is considered a cheap babysitter to hold a child’s attention when adult attention is scarce; at its worst, television caters to our weakest impulses, glamorizes materialism, desensitizes us to violence, and lulls us into a zombie-like trance. As a result, most people today would laugh at a school system based on watching broadcast television programs, however educational. Yet, that was exactly the idea behind an experiment in American Samoa in the mid-1960s, where the “education” of 80% of students was based on watching educational telecasts. The program was dismantled several years later as teachers, administrators, parents, and even students expressed dissatisfaction with the students’ academic performance. Today, computers and mobile phones are the shiny new technologies, and they offer an even more seductive promise. One argument goes that it was the passiveness of older technologies that was the problem, so today’s interactive digital technologies are the perfect solution. Patrick Suppes, a pioneer in computer-aided learning suggested in 1966 that computers can “adapt mechanical teaching routines to the needs and the past performance of the individual student.” But, neither interactivity nor adaptive capacity are sufficient – the key challenge in education remains the long-term, directed motivation of the student – something which no technology today can deliver on its own, but which good teachers deliver regularly. Computers can help good schools do some things better, but they do nothing positive for underperforming schools. This means, very specifically, that efforts to fix broken schools with technology or to substitute for missing teachers with technology invariably fail. And, as for technology’s capacity to even the playing field of education, he says, “the introduction of information and communication technologies in […] schools serves to amplify existing forms of inequality.” This is a specific instance of a broader thesis I argued recently, of technology’s role as an amplifier of existing institutional forces. Ana Santiago and her colleagues at the Inter-American Development Bank find a similar story for a Peruvian One Laptop Per Child program. Three months after a large-scale roll-out, and despite teacher, parent, and student excitement around the technology, students gained nothing in academic achievement. Santiago also notes that even during the initial three months, the novelty factor of the laptops appears to wane, with each week seeing less use of the devices. As Wayan Vota notes in a May 2009 ETD article, unless the institutional foundation of teachers and administrators is built and funded properly, technology is pointless. With the lens of motivation, it’s easy to understand why. Bad schools are unable to direct student motivation towards educational goals. Since technology itself requires proper motivation for its benefits to accrue, any school that can’t direct student motivation capably will fail to do so with technology, as well (or worse, allow technology to distract students). that technology alone is insufficient as a solution. Though these acknowledgments are far better than a blind faith in technology, they still belie hidden, unjustified expectations of technology. The first interpretation suggests that technology cures some maladies in education. But, this is exactly what doesn’t happen – the prevailing evidence shows that technology does not cure unhealthy educational systems; at best, it only augments healthy ones. The second belief is more dangerous because it is factually correct but misleading for policy. It implies that technology can be a good solution as long as other investments are also made; what it leaves out is that if alternate investments of the same magnitude were made to support education directly (and not indirectly to support technology), the educational results could be far greater. The issues here are cost-effectiveness and opportunity cost. Of course, if the net impact of a technology solution is zero or negative, it’s pointless to implement it however low the cost. But because many educators are tempted by technology’s supposed ability to lower costs, it’s worthwhile to consider actual costs of well-implemented technology. The most common error in computing costs is to assume that hardware and software are the dominant costs of technology. In reality, the total cost of ownership (TCO) for information technology is comfortably several times the cost of hardware, with a range of 5-10x being a good rule of thumb. Beyond hardware, necessary costs include costs of distribution, maintenance, power infrastructure, teacher training, repair and replacement, and curriculum integration. (In a May 2010 ETD article, Sam Carlson, who unlike me believes in technology for education, nevertheless highlights just how much of an investment teacher training requires.) Additional costs often include connectivity, software development, content production, and end-of-life costs. One analysis by Vital Wave Consulting shows the TCO of an ultra-low-cost PC to be in the $2000-3000 range for developing country schools. A similar analysis by OLPCnews suggests $972 over five years for OLPC (the very optimistic advertised lifespan of an OLPC laptop), and $753 for an OLPC implementation in Nepal (cf., OLPC’s current cost of $188). These figures are per unit, so a one-to-one laptop program would incur these costs per-student. Though figures like the ones above show otherwise, technology providers eagerly feed technology-cost misconceptions. Nicholas Negroponte, founder of OLPC, has been recently touting a $1-per-week total cost for his laptops. But, a dollar a week doesn’t even pay for the device over three years, which many observers agree is a reasonable estimate of its lifetime. It appears his accounting skills are not on par with his salesmanship. Even at $1 a week, though, the price is out of proportion for many developing-country budgets. The government of India, for example, spends no more than $200 per student per year for primary and secondary school, and most of that expense goes to teacher salaries. And, while literacy rates in India are rising, they remain around 60%. Many other developing countries spend even less, with worse results. Does it make sense to take a quarter or more of a struggling school system’s budget and allocate it to technologies that haven’t even proven themselves? With respect to costs, it’s worth keeping in mind the opportunity cost of technology. For example, research by economists Ted Miguel, Michael Kremer, and others has conclusively shown the value of 50-cent deworming pills for education. The pills free children of parasites and eliminate one of the dominant reasons for student absenteeism in many developing countries. At a cost of only $3.50 per student (over several years), countries with high incidences of parasites can effectively add the equivalent of an extra year of schooling. Similar results can be had from provision of midday meals, iron supplements, and teaching assistants, and all at a much lower cost than that of computing technology. As for better teaching, educator Doug Lemov enumerates a series of instructional techniques in his book Teach Like a Champion. The techniques were compiled by Lemov after studying hours upon hours of video of teachers who systematically outperform their peers. Most of the techniques are conceptually simple, but have a dramatic impact on the teacher’s effect in the classroom. For example, when asking a question, Lemov’s recommendation to teachers is to pose the question to the class at large, allow some time to think, and then to randomly call on a student. The technique motivates all of the students to think, since any of them could be put on the spot. In contrast, calling only on students who raise their hand or calling on a student before asking the question allows other students to ignore the question entirely. Such techniques require no additional technology and could easily be incorporated into existing teacher training programs with marginal additional cost. Speaking of teachers, it should be emphasized over and over that they are the primary agents of good formal education. Without good teachers, education fails; with good teachers, education succeeds. Technology is largely irrelevant to this equation. As evidence, we only need to consider world-class school systems that consistently churn out high-performing students. The Programme for International Student Assessment (PISA) is the OECD’s latest instrument to measure student performance across countries. 15-year olds are assessed on their reading, math, and science abilities, and the test attempts to measure not just rote learning but some degree of deeper comprehension and critical thinking ability. Finland is among the countries that routinely perform at the top on PISA, and it is renowned for its low-tech, high-touch approach that emphasizes educational basics and relatively few hours of school or homework. There are also school systems like that of South Korea that use a lot of technology and also do well, but analysis of PISA results fails to show any meaningful correlation between technology use and student performance. (Tim Kelly attempts to use Korea as an argument for technology in schools in a May 2009 ETD article, but that seems an unfortunate confusion of correlation with cause.) Rather, PISA summary documents highlight that the best-performing nations have a political commitment to universal education, high standards for achievement, and quality teachers and principals. Notably absent is any mention of technology as a critical element of a good school system, even though the PISA survey includes data on computers and other educational resources. None of this should be a surprise. The world had amply demonstrated well before the invention of the personal computer that good education is possible without information technology. Most people born in the 1975 or earlier had no computing in their classrooms, and it would be hard to argue that they suffered as a result; many now lead the world in their respective spheres. Are we to believe that today’s Nobel Laureates, heads of state, and business elite received an inferior education because they were without information technology when growing up? In order to avoid misunderstanding, I should clarify that some uses of computers in education can be justified, although with the ever-applicable caution that while technology can augment good schools, it hurts poor schools. First, in those cases where directed student motivation is assured, technology may lessen the burden of teaching. Some cases of tertiary or adult education may fall into this category. Second, targeted use of computers in schools, for example, as an aid to teach computer literacy, computer programming, or video editing, etc., are important as long as those uses are incorporated only as a small part of a well-rounded curriculum. Third, technology can help with the administration of schools – record keeping, monitoring, evaluation, etc. – as long as the school system is able to fully support the technology. Fourth, in richer environments, where the cost of educated labor is relatively high, careful use of well-designed software may have value in fundamental education, particularly for remedial or drilling purposes. Solutions offered by, for example, Carnegie Learning fall into this category, although it should be noted again that effective use of these kinds of technologies must occur in the context of an otherwise well-run school system. Fifth, again in rich environments, where the basics of education are assured, where teachers are facile with technology, and where budgets are unconstrained, widespread use of technology, even in a one-to-one format, might benefit students. Warschauer does find that certain uses of computers enhance computer literacy and writing skills, but these outcomes are limited to well-run, well-funded schools; they are notably absent in underperforming schools, even in the United States. I underscore that the last two cases are specific to very wealthy, well-run school systems (as a benchmark, the value is unlikely to emerge for school systems spending less than US$8,000 per student per year), and that none of the positive instances above pertain to underperforming schools or to broad dissemination of technology to students. I’ve so far argued that technology in education has a poor historical record; that computers in schools typically fail to have positive impact (with the rare exceptions occurring only in the context of competent, well-funded schools); that information technology is almost never worth its opportunity cost; and that quality education doesn’t require information technology. Though I’ve only presented a smattering of the evidence above, the conclusions are clear. Put together, the strong recommendation is that underperforming school systems should keep their focus on improving teaching and administration, and that even good schools may want to consider more cost-effective alternatives to technology when making supplementary educational investments. Unfortunately, all of this evidence doesn’t provide the gut intuition required to reject seductive rhetoric. So, I end with a point-by-point refutation of frequently heard sound bites extolling technology in schools. Pro-Technology Rhetoric 1: 21st-century skills require 21st-century technologies. The modern world uses e-mail, PowerPoint, and filing systems. Computers teach you those skills. Reality: This is bad reasoning of the kind that, hopefully, genuine 21st-century skills wouldn’t allow. What exactly are the “21st-century skills” that successful citizens need? Some people define them as the 3 Rs and the 4 Cs (critical thinking, communication, collaboration, and creativity). But, aren’t these the same as 20th-century skills? The skills haven’t changed; only the proportion of people requiring them. Today, any idiot can learn to use Twitter. But, forming and articulating a cogent argument in any medium – SMS text messages, PowerPoint, e-mails, or otherwise – requires good thinking, writing, and communication skills. Those skills might be channeled through technology, but they hardly require technology to acquire. Similarly, any fool can learn to “use” a computer. But, the underlying math required to do financial accounting or engineering requires solid mathematical preparation that requires working through problem sets – Einstein didn’t grow up with computers, but modern physics would be delighted to have more Einsteins. We need to distinguish between the need to learn the tools of modern life (easy to pick up, and getting easier by the day, thanks to better technology!) and learning the critical thinking skills that make a person productive in an information economy (hard to learn, and not really any easier with information technology). Based on my own experience trying to teach undereducated English-speaking adults how to use Google, I’m quite certain that what limited their ability to capitalize on the Internet was reading comprehension and critical thinking skills, not computer literacy skills. Pro-Technology Rhetoric 2: Technology X allows interactive, adaptive, constructivist, student-centered, [insert educational flavor of the month (EFotM) here] learning. Reality: All of that may be true, but without directed motivation of the student, no sustained learning actually happens, with or without technology. Good teachers are interactive, adaptive, constructivist, student-centered, and capable of EFotM, but on top of all of that, they are also capable of something that no technology for the foreseeable future can do: generate ongoing motivation in students. If education only required an interactive, adaptive, constructivist, student-centered, EFotM medium, then the combination of an Erector Set and an encyclopedia ought to be sufficient for education. Pro-Technology Rhetoric 3: But, wait, it’s still easier for teachers to arouse interest with technology X than with textbooks. Reality: Maybe a little bit at first. But, the novelty factor of most technologies quickly wears off, and those which don’t tend to turn viewers into zombies rather than engaged learners. In addition, this comment is a real insult to good teachers everywhere. Good teachers are exactly those who can engage students creatively, regardless of the aids available to them. Technology might amplify the impact of good teachers, but it won’t fix bad teaching. Pro-Technology Rhetoric 4: Teachers are expensive. It’s exactly because teachers are absent or poorly trained that low-cost technology is a good alternative. Reality: Low-cost technologies are not so low cost when total cost of ownership is taken into account and put in the economic context of low-income schools. Furthermore, technology cannot fix broken educational systems. If teachers are absent or poorly trained, the only proper solution is to invest in better teachers, better training, and better administration… even if it’s expensive. As they say in KIPP schools, there are no shortcuts! Pro-Technology Rhetoric 5: Textbooks are expensive. For the price of a couple of textbooks, you might as well get a low-cost PC. Reality: Anyone who says this is using American predatory pricing of textbooks as a guide. In India, a typical text book costs 7.5-25 rupees, or 15-50 cents. For $1-3, you could buy all the textbooks a child will need for the year. It can be more expensive in other countries where printing costs are not as low as in India, but there is no reason why a textbook needs to cost more than a few dollars. Please, let’s stop propagating this myth. Pro-Technology Rhetoric 6: We have been trying to improve education for many years without results. Thus, it’s time for something new: Technology X! Reality: Technology has never fixed a broken educational system, so if anything is getting old, it’s the attempt to patch bad education with technology. If other efforts aren’t working, maybe the school system needs to be thrown out and rebuilt from the ground up, as Qatar recently did with its education ministry. There are plenty of new things to try that don’t require new technology. (Though, novelty for its own sake doesn’t make sense, either. There are plenty of old examples of good education, too.) It should be cautioned though, that efforts to improve teachers and administrators is itself a multi-year, if not multi-decade effort. Again, there are no shortcuts! Pro-Technology Rhetoric 7: Study Z shows that technology is helpful. Reality: Technology can be beneficial. But, it’s always worth looking at two things more carefully: First, how good was the educational environment in Study Z without the technology? Invariably, it will have been good; often, very good. This means it was secret-sauce + technology that caused the benefit, not technology by itself. Second, what was the total cost of the technology (including training, maintenance, curriculum, etc.)? Inevitably, it will be a factor of 5-10 more than the cost of hardware. Both issues suggest that for ailing schools, technology is not the answer. Pro-Technology Rhetoric 8: Computer games, simulations, and other state-of-the-art technologies are really changing things. Reality: This article was written with current and near-term technologies in mind. It’s possible that future technologies will not fit the theses. Certainly, a humanoid robot indistinguishable from a good teacher could work wonders! More realistically, it’s likely that sophisticated software could become richer in the range of things they can teach and the degree to which they sustain motivation. But, any such advances should pass lab trials, pilot runs, controlled experiments, and cost-effectiveness analyses before anyone starts advocating them for widespread use. So far, no technology has met this bar – computers running existing software certainly haven’t. Pro-Technology Rhetoric 9: Technology is transformative, revolutionary, and otherwise stupendous! Therefore, it must be good for education. Reality: This myth is pervasive because it is so easy to believe and because we want to believe it so badly. After all, with computers, we can publish our own newsletters, buy gifts in our pajamas, and find the best Italian restaurant in town. And, it would be nice if all we had to do was to sit every child in front of a computer for 6 hours a day to turn them into educated, upright citizens. But, why do we believe this? It makes no sense. We don’t expect that playing football video games makes a child a great athlete. We don’t believe that watching YouTube will turn our kids into Steven Spielbergs. We don’t think that socializing on Facebook will turn people into electable government officials. And, if none of those things work, then why do we expect it of writing, history, science, or mathematics? A good education is second only to parenting in the importance it has in raising capable, upright members of society. We would never think to replace parenting with technology (and when we do at times, we do it with shame, and only because we’re too damn tired to parent, not because gadgets are superior to us). Why do we keep trying to replace teachers? As if to underscore these points, last month, the Azim Premji Foundation, a well-funded non-profit in India and arguably the world’s largest non-profit organization dedicated to working with computers in education, made a startling – and courageous – confession. They had worked for over half a decade with tens of thousands of schools, providing computers, training teachers, designing whole software libraries in 18 languages, and integrating material with state curricula. Aspects of their programs and their software could be criticized, but their methods were as thoughtful and as heartfelt as any technology-for-education effort I have witnessed, with frequent research and evaluations to confirm outcomes. Their conclusion? In short, there are no technology shortcuts to good education. For further reading along these lines, see 10 Worst Practices in ICT for Education, by Michael Trucano, as well as education-focused posts by the ICT4D Jester. Barrera-Osorio, Felipe and Linden, Leigh L. (2009) The Use and Misuse of Computers in Education : Evidence from a Randomized Experiment in Colombia. World Bank Policy Research Working Paper Series. http://ssrn.com/abstract=1344721, retrieved Dec. 28, 2010. Behar, Anurag. (2010) Limits of ICT in Education. LiveMint.com. Dec. 16, 2010. http://www.livemint.com/2010/12/15201000/Limits-of-ICT-in-education.html, retrieved Dec. 28, 2010. Camfield, Jon. (2006) What is the real cost of OLPC? http://www.olpcnews.com/sales_talk/price/the_real_cost_of_the.html, retrieved Dec. 28, 2010. Camfield, Jon. (2010) Total cost of XO ownership for OLE Nepal. http://www.olpcnews.com/sales_talk/price/total_cost_of_xo_ownership_for.html, retrieved Dec. 28, 2010. Cuban, Larry. (1986) Teachers and Machines: The Classroom Use of Technology since 1920. Teachers College Press. Lemov, Doug. (2010) Teach Like a Champion: 49 Techniques that Put Students on the Path to College. Jossey-Bass. Linden, Leigh L. (2008) Complement or Substitute? The Effect of Technology on Student Achievement in India. Jameel Poverty Action Lab Working Paper. http://www.columbia.edu/~ll2240/Gyan_Shala_CAL_2008-05-22.pdf, retrieved Jan. 4, 2011. OECD (2010), PISA 2009 Results: What Makes a School Successful? — Resources, Policies and Practices (Volume IV). http://dx.doi.org/10.1787/9789264091559-en, retrieved Dec. 28, 2010. Oppenheimer, Todd. (2003) The Flickering Mind: Saving Education from the False Promise of Technology. Random House. Suppes, Patrick. (1966) The Uses of Computers in Education. Scientific American, 215(3):207-220. Toyama, Kentaro. (2010) Can Technology End Poverty? Boston Review, 35(6):12-18,28-29. http://bostonreview.net/BR35.6/ndf_technology.php, retrieved Jan. 4, 2011. Vital Wave Consulting. (2008) Affordable Computing for Schools in Developing Countries: A Total Cost of Ownership (TCO) Model for Education Officials. http://www.vitalwaveconsulting.com/insights/articles/affordable-computing.htm, retrieved Dec. 28, 2010. Warschauer, Mark, Michele Knobel, and LeeAnn Stone. (2004) Technology and equity in schooling: Deconstructing the digital divide. Educational Policy, 18(4):562-588. http://www.gse.uci.edu/person/warschauer_m/docs/tes.pdf, retrieved Jan. 4, 2011. Warschauer, Mark. (2006) Laptops and Literacy: Learning in the Wireless Classroom. Teachers College Press. « Are ICT investments in schools an education revolution or fool’s errand? Written by Kentaro Toyama on January 6, 2011 in ICT in Schools. Great post, as usual, Kentaro. And thanks for the reference. But I think you may have misunderstood my thesis. If you read the first post in my ETD series, Sustaining Rather than Sustainable ICT4E, you'll see that I end by writing, "we need ICT4E initiatives that promote and support teachers' desires to teach and students' desires to learn." My second post, which is the one you've referenced, outlines out a process we've used to attempt to (among other things) uncover these motivations — the desires — in teachers and students. If in implementing the process one does not uncover these existing motivations (to teach and to learn) then an ICT4E intervention would not be "sustaining" (i.e., it would not nourish these desires). And as my quote at the beginning of the second post was meant to point out, unless the motivation already exists within the community, attempts at "regime change" (i.e., behavior change, process change. etc.) will most likely not be successful. In the end, unless I misunderstand your perspective, I think we're largely in agreement: technology should be used in a way that builds upon existing motivations rather than trying to create them. Ah, yes, you're right! My apologies. I had somehow read the first post, but then must have searched carelessly to find the second one, which I hadn't read. (Technology amplifies our capacity to do stupid things in haste.) We are in agreement. Sorry! Maybe ETD will let me edit that bit. 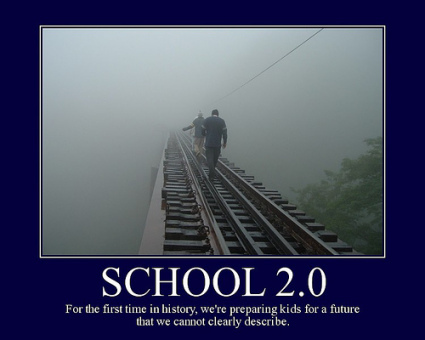 I've never been a fan of the "21st-century skills" argument. I've always felt that's the weakest one, as those that are making the argument the loudest (often middle-aged techies) didn't learn on the tools they now promote, but have done quite well for themselves anyway.Take the typing classes that you use as an example. I took typing class and did quite poorly – I still am a two-fingered, looking at the keyboard, typist. I'm fast from practice, but I am not a typist. Yet that doesn't stop me from typing up a storm on a daily basis and being something of an expert in ICT. In fact, the computer classes I took in middle school on BAISC are all but useless today. Those classes actually had me hating computers for years until I found email in college. Email was useful, but even more so was the reading and writing skills that made email an effective communication tool for me.Better is focusing on solid critical thinking skills, which may be helped by technology, but will be developed and honed with a real, live teacher. I agree. You're making arguments that go even further than mine… that the underlying critical thinking skills are so important, that in comparison, digital-literacy skills are a negligible portion of a healthy adult life. This happens to the point that bad things can happen in digital literacy, and you can still come out doing very well, as long as core capacity is in place. Hmmm… I really like this article and agree with most of it. Re digital literacy or "21st century skills", it's really difficult to judge just how important it is and I have a few mixed feelings. On the one hand, yes, it's quite easy to develop and "learn" some of the skills. However, youngsters in the "developed" world grow up with sophisticated and advanced technologies (mp3 players, mobile phones, PCs, gaming devices, etc, etc) and are totally at ease with them. Their use of these technologies is natural and intuitive, an extension of themselves. In the developing world (and my experience is in South Africa), because of almost no exposure to all these technologies (except mobile phones), there is no intuitive use and no knowledge of what is possible. There is no opportunity to collaborate, debate, challenge, no exposure to different contexts, concepts, cultures. Your teacher and textbooks control your thinking. This may have worked in the past when we were at school, but the world has changed dramatically and new skills are needed to navigate this new world. Without digital literacy and long term exposure to technology that becomes intuitively a part of how things happen, our children in the developing world are at a distinct disadvantage to their peers in the developed world. So I guess what I'm saying is that I believe digital literacy is really important in order to nurture and develop critical thinking skills – to what extent, I'm not sure yet. Interesting article well grounded in the reality of implementation as it is now. I though disagree with the conclusion that technology doesn't enable more rapid progress than otherwise possible in poor countries. ICT4E or anything else, many countries are not the kind of operating environments that lend themselves to efficient use of resources and are extremely difficult to operate in (security challenges, power, human capacity, etc). Where we are in Afghanistan, for example, we have an average school day of 2.5hrs half the year due to the shortage of teachers / schools. Using OLPC with a blended learning model and interactive curriculum material you can double that almost overnight. Other means would require far more time for building teacher training capacity, then doing the teacher training, then trying to see that what was trained is actually being implemented. Lack of sufficient time on task and feedback, critical components of an effective education are lacking in many developing countries. I agree completely with the historic perspective. Rewind a little more and more generally – it's almost like the railways. Everyone looses their mind thinking that a railway is a license to print money, and builds in some instances three lines between the same cities and two of course are crippled by infrastructure overheads. New technology only expands the options of what is possible and does not remove the need for carefully considered solutions implemented with a good understanding of the current challenges/opportunities. Like many innovations ICT4E requires further mini innovations in content, training, energy and implementation in challenging environments to become truly viable. In my opinion what it really needs is to be compared to the 'standard' arsenal of tools for improving education and judged on a measurable return on investment basis, anything that one could spend money on to improve education – teacher training, school construction, school meals, enrolment campaigns, curriculum development, etc. Thanks, Mike! And, it's great that you are working on education in Afghanistan. I agree that superb teachers in an otherwise underfunded educational system can do great things and they can use technology to help them. María, below, also raises this possibility. Second, I can't agree that $100 (to say nothing of TCO) per student makes sense for hardware that might last 3 years, in a country whose per capita GDP is less than $500. That is a bigger deal than spending $10,000 per student in America. That money could go first to micronutrient supplements, vaccinations, building schools with toilets, textbooks for teachers, and (dare I say?) an effective army. There are no sort cuts to good education. But there is no good education without good teachers, good books, and the creative use of digital collaboration technology DCT. I don't knolw Eleonora. I got a pretty good education back in the 50's with just the teachers and books. I am afraid this will be yet again a long posting but it will only go up to the sub-heading WHEN TECHNOLOGY IS JUSTIFIED because must get on with my work for today. Will send the other half tomorrow. Before I start I would like to thank Mr. Toyama for yet again another thought-provoking article. MY COMMENT: Am not sure about this. Have seen teachers who are properly trained in ICT perform miracles in underfunded schools with limited infrastructure. MY COMMENT: If we are thinking of the benefits ICT can bring to Education, we must think of what kind of educational principles underpin the integration of ICT into classrooms rather than assume they can only be used when all the equipment is perfect. MY COMMENT: Cannot follow this. Seems to reflect a very authoritarian and paternalistic view of teaching. MY COMMENT: Think you are thinking of technology as a sort of miracle worker which is not the case. It is just an addition to classroom activities. MY COMMENT: I would rather say that it is because we are not clear as to: a. what benefits current technology can bring to the classroom; b how it can help generate more independent students. MY COMMENT: Because this requires planning, not just plonking a bit of technology in the middle of the classroom. MY COMMENT: . Has this been researched? What were the original goals of introducing technology in the classroom? MY COMMENT: How so? Because we had not analysed how it could be used? MY COMMENT: Digital technologies can also be passive, depending on how the teacher uses them. The same could be said of TV and videos in the 20th century. MY COMMENT:That is the fatal mistake. Assuming that Motivation can be generated by external stimuli or by the teacher. Can´t remember how many times I have heard teachers say: ‘I need to motivate my students’, or ‘ Nothing motivates them’ Of course motivation can be ‘extrinsic’ e.g. the need to get a certain qualification, or “intrinsic” the satisfaction the learner gets from what he/she learns and how it affects his/her view of himself/ herself’ And that is ‘real motivation, the engine that drives human beings forward. MY COMMENT: This is again because technology is not being used appropriately. For starters, in most of the projects I have researched lately, students have been given a computer and then made to use it in the same traditional way as they used blackboards, i.e. controlled by the teacher “ now turn on your computer and do this…” ‘ now turn off your computer and,,,? This is not what computers are for. The idea is that students are encouraged to use computers as a ‘discovery tool’ where they can share conclusions, agree and disagree with each other and generate a final outcome that is the result of their exploration. MY COMMENT: .” Of course, if you place a computer in front of a student and don´t provide him with a task to do with it, you cannot expect any results. It also implies that the role of ICT in the classroom has not been thought through properly apart from making sure that there is connectivity, etc. MY COMMENT: .) I would like to see that research. What educational view was it based on? How were teachers trained to use computers? What role did computers play in the classroom? MY COMMENT: Here again, how was academic achievement measured? Which were the goals set?. How can impact be evaluated if there are no clear goals to evaluate results against ? MY COMMENT: Totally natural. They were not getting anything out of the process. MY COMMENT: Totally agree. If technology is used as a band-aid to cover up for other deficiencies in the educational system. The decision to incorporate technology in the classroom must be a conscious process of “innovation” where: a. a clear Curriculum is designed to incorporate the use of technology; b. all stakeholders i.e. students, ´teachers, school administrators and parents are made aware of how it can contribute to the teaching/ learning process; d. there is ongoing feedback from all stakeholders that will help identify what is working and what is not. This is one of the basic premises of “implementing innovation” which I am sure Mr. Toyama is aware of. And incorporating ICT to classrooms should be treated as such. MY COMMENT: At the risk of repeating myself, I would insist that a. the word ‘motivation’ has not yet been defined in this paper; b. innovations have to be introduced carefully and not imposed top-down. Have seen many educational innovations both in European countries such as Spain and Italy and in Uruguay where I currently live, collapse due to bad planning and implementation and through insisting on making it a top-down imposition. MY COMMENT: I am afraid I cannot go on repeating the same. People who are not informed and trained cannot give a valid view of the role of technology. MY COMMENT: I agree. As I think I said above it is like trying to cure a bullet wound to the stomach with a band aid, leaving the bullet inside. MY COMMENT: Not just that. The fundamental issue is being clear as to the role ICT can play in the teaching/ learning process. MY COMMENT: They probably are because they have not been properly informed. MY COMMENT: It is not. Quite the opposite. It adds a different dimension both to the teacher´s role and the student´s role. And anyway, we are still talking in the abstract, What is a good teacher? Judgement is being passed without any definition of what being a good teacher is. MY COMMENT: And precisely, one of the many contributions using ICT in classrooms is help students develop their cognitive skills. MY COMMENT: This is mainly because they are taken for granted and part and parcel of the educational system, especially in countries like Finland and Korea. MY COMMENT: Again, we need a definition here. What is good education? There are people like Dewey and Stenhouse who wrote about Education long before computers existed. However, the concept of “good education” was clear. I attach a link to a film I found in You Tube about Education in the 40’s in the USA. I think it is a jewel and it shows clearly that ‘good education’ did not need technology, it needed principles which most of the world seems to have forgotten about. MY COMMENT: I am afraid I don´t see the relevance of this question. Of course lots of us grew up without computers, however, in my personal case, I would feel very isolated from the world around me if I did not have access to a computer as it reflects the direction in which the world is moving. I have many older friends and colleagues who can barely use a computer, and they only use it to open their emails once a week. They have simply decided not to keep up with times. And I shall stop here for today. I hope you don´t find it as taxing to follow as I found putting it together. If it does not work, won´t do it again, But I normally study like that, I write my comments in the text so that the comment can be linked to the text. Thanks, María, for your extensive comments! I won't respond to them all (some are addressed elsewhere in the article), but I will answer two of the issues, which you accurately accuse me of not defining — "motivation" and "good teachers." "Motivation," in the case of education, it is that which causes internal "movement" of the student to do things that allow them to grow in knowledge, skills, and maturity toward wholeness as a human being who attains his or her unique potential. It is that in the student that causes them to exert effort. Bad teachers fail to do this in any form. They might be totally absent. They might not care. They might be well-meaning, but misguided in their pedagogy. They might be completely incompetent. Whatever it is, they don't add positive impetus for the student to do or think what is necessary to learn. Sometimes, they may detract from it. (…continued) Good teachers have a net positive contribution to the child's motivation. Some teachers are good, but not great. I count strict disciplinarians who teach via rote in this category, because at least they can enforce classroom discipline and coerce students to memorize things. The process of memorization also builds self-efficacy, self-discpline, and self-confidence. It's not optimal, but better than any bad teacher, as above. With the proper training and curriculum, I'm sure they could also do good things with computers. Excellent teachers "provide" motivation through inspiration, encouragement, challenge, subtle discouragement, occasional scolding, occasional punishment, and even calculated aloofness to allow students to grow on their own. They help make learning fun, and they bring out the student's own aspirations and potential. They can create a lesson out of an acorn, and turn a child's fascination with mushrooms into a year-long investigation. It is an intricate, highly customized art. My basic claim is two-fold: First, that good teachers might be able to do something positive with computers in their classrooms, especially when provided with all the other necessary support; excellent teachers will be much more likely to do great things with computers; but, bad teachers will only let computers get in the way. So, no technology for schools with bad teachers, which unfortunately, is the situation in the great majority (though certainly not all) of publicly funded education in developing countries and low-income communities in developed countries. Second, even for most good teachers, I think it makes more sense to apply any potential budget for technology towards helping good teachers become excellent. 1. To what extent an intervention depends on the capability of the teacher depends on how much one understands their situation and provides a recipe for effective usage. Throwing out any educational intervention without decent guidance (television programs, laptops, etc). If like we do here you make a complete interactive version of the same curriculum book but with questions, games and exercises then it doesn't take too much familiarity with the technology or imagination that might have long ago been destroyed by rote learning mentalities. Actually until I show people the interactive book people here are generally thinking "why on earth would you do that?" Then on seeing interactive learning materials that can be used at home it makes sense to people. 2. TCO is the real tough cookie. But why are we thinking only of costs? Micro business and agriculture information can help cottage industry that can raise incomes! Learning a foreign language and things a roleplay game on how to do a job interview can get more people better jobs where such education is otherwise difficult or expensive to come by. You are right ,without motivation there is no possible education and with it people learn no matter how hopeless their situation may seem. I like to quote Nietzsche's "Those who have a why can bear any how" (Crepúsculo de los Ídolos). What seems really important to me is that ICT seems to provide motivation when it might be absent. We have measured the Intrinsic Motivation INventory in about 140 schools of our ne Laptop per Child program and all variables increased, some of them more than 100%. Of course bad teachers will always be a problem and we'll have to work hard to improve them but it takes a lot of time and effort so something needs to be done while they improve. Okay, Kentaro. You asked me for a little comment. My background is 6 years as a student k-5 in a one room country school house (1947 -1952) and I still get a Christmas card from the teacher. I have an MA from W.Mich Univ im Mathematics education and an MS in Computer Science Education from U of Oregon with Dave Moursund. I have taught (and been a consultant/reader/grader) for both AP Computer Science and AP Statistics. Now retired. I find agreement with so much that you write. Of course, computers are vital in today's world, but I have always had an apprehension about the extreme jumping on board movement in education. One of my favorite short stories is Asimov's, "A Feeling of Power". I used to give that to my APCS students. In math we saw the TI-81-82-83-85-89 etc, etc, etc. And so parents would have to buy a new version for their kids. Naturally computers have gone the same way and so now parents have to buy new ones of these. I can remember an AP student back in the mid-80's talk about his ultimate computer having 10 Mgs of memory. Of course this was in the day of the big floppies and 128 K was a big deal. I have been associated with a school that spends tons on computers and is also given a lot. In many respects it has been used well, but there was/is also lots of overkill and under-use. PR is important, too. I can remember back to the early 80's I edited a "magazine" for a fledgling computer society for a group of schools. In my editorial I was very cautious about an onrush of splurging into the computer field without some good discussion and planning about is it really needed and does it do things better. I found in my later years of teaching that I was actually withdrawing from computer/tech use–I'm sure to the consternation of some of my colleagues. All kidding aside, it *was* a great advantage to have a computer science class in a computer lab with one PC per student, and it undoubtedly played a role in my eventually getting a computer science PhD. And, it was also terrific that the computers were only for an hour every other day, and that the rest of the school believed (then) in the power of teachers to inspire and motivate, and the importance of focused time for students to do their problem sets, write their essays, and practice their musical instruments. Nice arcticle and most importantly based on some ground realities as oppose to random thoughts which often eminate from multi-billion PC makers' offices. I must point out one thing which is: "Who do you think, believe that Technology is really needed for good education". As far as I know, by and large, a larger crowd doesn't even think in this line. They pretty much know that the bridge between technology and basic educational system is really large. They are orthogonal to each other in many aspects and impact from one another is not so appearent. Execpt the people who want to sell technology to "educational market" and some of people who get benefitted by that. Other than them no one else advocates the integration of technology into education-system. I am sorry to point out, but my feeling is that company X who builds OS Z, does that very often. This is based on my observations when I saw few computers running with Z in my primary school which is hardly able to afford good teachers and other basic things. Thanks for your note, Raj. But, I won't have to do much to answer your question. I'm sure lots of comments will come in from people who are sure that technology is necessary in schools for students to be prepared for the modern world. While you have answered many questions and cleared many doubts, I still feel that you have left few stone unturned. In order to counter the counter-arguments you could have shown two things. Pick an educational system, in the context of India, it could have been — at primary level — RSS operated Sarswati Schools. With minimal technology they do much better than any convent or privately held richer schools. Ask any kid in India and he/she will tell you. Second is even at college level take an example of BITS system. As per my knowledge, the classes are still old fashioned, techers avoid technology as far as they can, yet you can find students from BITS-system in any corner of the world. In contrast to that, there are many other universities systems in India which are much richer i.e. Manipal, Dhiru Bhai Ambani University yet they fail to make a mark which BITS did. It solely relied on good teachers and great methodologies and efficient educational practices. Yes, I agree. There is really no end to good school systems with minimal use of technology. In India, there are examples like Rishi Valley, which has an ingenious program of paper-based self-paced worksheets (overseen by dedicated teachers) that students learn with. There's Shanti Bhavan, which is expensive, but spends almost all of its resources on a boarding school for dalit children. (They have a computer lab, but it is for individual courses about computing.) I also agree that India is an example where many top engineering colleges do amazingly well with few computers. (But, I think they could use more computers; it's hard to become proficient at programming without reasonable hands-on experience.) But, overall, I agree with you. Again, people who hourbour the thought that technology can really make a big impact are far from reality. I feel that their motive is to sell their technology to "unexploited" eductional system and make money. One thing they fail to understand is that eduction is not a business and marrying their busniess with educational bunsiness would turn into a disaster. Eduction is really a social-business where the profit comes in form of goodwill of sociaty and not in terms of dollars. Most important thing, while technology is not a solution. Good techers are. But getting just good teachers is not enough. What else need to be done is the complete overhauling of system, cluture and setting up the right examples alongwith sustained motivation. One should make sure that system should encourages good practices more importantly it should discourage bad practices or else the system itself would set up the wrong examples. In order to present some concrete example, some of good friend of mine, dropped out from school after 10th and entered into a diploma courses. The motivation was that with this secondary/sepcific education you can make life much better, start earning early etc etc. Later they repent because the benfits were stagnated. On the other hand, who continued the right direction and kept patience are in much better situation today. So it is very important to present a good perspective to the young kids and directions so that they don't follow the fallacies. Unfortunately, all this can not come from a good teacher alone. In order to really make an educational system effective one also need to examine the external factors which could be kid's company, parents and their guidence, social circle, teachers, and rewarding system. This is very thought provoking article; I will surely keep this article bookmarked. This analysis really points to a the need for evidence based solutions. Education organizations have misspent countless sums of money on unproven technologies. Unfortunately, with limited dollars in education, spending money on ineffective solutions to learning problems reduces the amount of money that could be spent elsewhere. There are many levels to technology integration into curriculum, but the core tenets of adoption should be evidence of efficacy, and that instructors know how to effectively use technology to augment learning. Often, neither tenet is satisfied. Technology must be additive, and proven so before implementation. Too often, technology masquerades as a solution looking for a problem. Moreover, technology is too often posed as a solution to a problem that cannot be solved with technology. Many learning issues are comprehensive and difficult to address. The lure of technology is a perceived quick fix. We are seeing that now with a lot of the mobile tablet devices. Many schools have adopted iPads without any evidence of learning value, and some freely admit they are just experimenting. This includes well established Ivy league universities that thrive on research! This is like the old adage of the shoemakers kids with holes in their shoes. Our leading educational institutions are often the worst offenders of technology adoption without any solid evidence of the learning value. Technology is a vehicle, not a comprehensive learning solution. Those schooled in instructional technology understand this, but are all too often drowned out by the marketing hype and myths that become understood by the public as factual. Urban myths abound when it comes to educational technology. When technology doesn't provide the benefits, don't blame the technology. If you take an improper medication for an ailment it cannot treat, don't blame the med. But yet, we continue to throw dollars at technology hoping for something to shake out. It's little more than trying to win a lottery; most people lose. We need to continue to expand the body of knowledge about instructional technology, and convince educational organizations to base adoption on empirical evidence, not speculation, anecdotal accounts, and marketing messages. Thanks, ereaderstudent. I completely agree. I think experimentation is perfectly okay, but experiments need to insist that that's what they are, with clear decision points (with concrete bars) beyond which the projects will end or expand. Start with overblown statements of value: "'It allows us to extend the classroom beyond these four walls,' said Larry Reiff, an English teacher at Roslyn who now posts all his course materials online." KT: So, were textbooks and worksheets limited to the classroom before? Another one: "'It’s not about a cool application,' Dr. Brenner said. 'We are talking about changing the way we do business in the classroom.'" A long article with a pessimistic or even depressing message. I have to agree with the data and facts supplied. However, I disagree with the conclusions. I have many comments and remarks, so I will enter separate comments for each subject. My first is with the (implied) message that technology never really helped education. I disagree. I will take my home country, the Netherlands as my example, as that is the one I know best. And the focus will be on secondary education, ie, high school. The Netherlands are rich and have ample teachers and classrooms. What technologies can be said to have revolutionized education over, say, the last century? 1 Electric light and central heating. This allows us to teach during the dark and cold days of winter. 2 Public transport and bicycles. This reduces commuting time and allows all children to visit a fitting school in our German style differentiated high school system. Without these four technologies, education in the Netherlands would grind to a halt. 4 (Mobile) phones, to keep down on truancy, inform about absentees, inform students about last minute lesson plan changes (using a calling chain), and help each other with homework assignments. 5 Graphing calculators (obligatory for students). These are used in math and science education. I have no idea whether these calculator really do improve understanding in most areas. But I do know that it is next to impossible to teach realistic statistics without them. 6 Computers and the internet (just a first shot at them). Children are required to have access to a computer and broadband internet. When asked, they say it is impossible to graduate without them. This requirement is usually not a problem, as nearly every household has both. But some computers and internet are available at school for those who need them. Computers are mainly used to do homework: word-processing, internet searches, small educational programs (on-line or on a CD), tests, and communication with the teacher using Blackboard/Moodle like course management software. Obviously, if you do not understand your homework, your classmates are just a chat room away. Just call or text them to get online (which they most probably are already) and ask them for advice. They all make that students spend more time learning, either in class or at home. Whether it be that teaching is possible when it is dark and cold outside, or spending less time commuting to and from school. And we should not underestimate the increase in efficiency that comes with tighter class scheduling and more flexibility in teaching hours. And if you are stuck with your homework, there will be someone able to help you, somewhere. What is very remarkable? That the technologies that have streamlined education and made life of teachers and students much, much easier all fall outside the scope of the "Technology for Education" discussion. Because, all this lamenting is about doing things INSIDE the classroom other than teaching. But teaching is done in the class, learning at home. Thanks for your comments, Rob! I should note that I don't think technology is useless in education or elsewhere. The theory I stand by is that technology amplifies existing human/institutional intent and capacity. (See, for example, http://bostonreview.net/BR35.6/ndf_technology.php .) In the case of education, this means that it amplifies pedagogical capacity of teachers and schools. If the pedagogical capacity is high (a relative term, to be sure), technology can contribute positively. If low or non-existent, technology won't help. This is not pessimistic with respect to technology, per se. It's pessimistic with respect to any attempt to "fix" a broken institution with technology. Unfortunately, that is the majority claim of the value of technology for developing countries. I understand, and agree, with your amplification theory of technology. But I chose these examples because they also tell how this works. Central heating, lighting, and good transport (public or bicycles) help ALL children. Also those in weak schools. Indeed, if nothing is taught, nothing will help. But it is not that bleak. If something is taught in school, you can still help. And education is not a zero sum game. Even if the strong will get much more out of any improvement, it is still worthwhile to help the weak. With more education the weak will become more productive and earn more. Even if their relative position on the educational market decreases. A large part of the complaints against ICT programs for education are about the use of ICT in the classroom. Everywhere in the "debunking of technological solutions" we read words like "in class" and "in school". Many communities and schools spend money on public libraries. Every school, neighborhood, and village in my country has one. They are claimed to improve the educational level of children. This is a waste. I have seen many lessons, classes, and spoken to many children. They never use library books in class. They are not incorporated in the curriculum and teachers hardly ever make use of public library books in class. So we should close these libraries down and invest the money in teachers. What is wrong with the above evaluation? Everything. We know we need libraries to keep children literate. To learn how to read, it is paramount that children read a lot. I remember some study that said that a child needs to read for 4 straight years to be at a level to stay literate. To get children to read, you have to supply texts, books, comics, whatever. And the texts should be interesting to the child. So you need a large choice of books so each child can find many books that it likes. And it should read these books at home, not in class. Reading books in class is a complete waste of (teacher) time. And teachers cannot substitute for library books. To conclude, without public libraries, no literacy. So here we have one example of the fallacy of "in class use". In class, children should use pen, paper, and teacher, and maybe a text or work book. A laptop that includes all of these could qualify. But everything else is a waste of teacher's time. And, I agree that time spent learning is an important aspect of education. (Motivation generates more time spent learning.) But, I disagree that electronic technology is either necessary or cost-effective for encouraging more time spent learning. Note that this is in no way a critique of people who have grown up with and learned a lot on technology. I'm certainly among those people. But, I think it's important to realize just how privileged this class is, with respect to the immensely positive human and institional factors that we are blessed with, and in whose context the technology does well. Again, in most very-low-budget, publicly funded education systems that I've seen or read about (in Asia, Africa, and poorer parts of Latin America), those human factors are not yet present consistently enough for technology to amplify positively. My main point was first that measures of "in-class-use" are completely unreliable for evaluating the influence on school performance. I believe most learning is done at home, especially if children get older. Public libraries might not be the only ways to get children literate. The importance is that children practice reading, and practice a lot. For that you need things to read for children. Books and comics are good. Periodicals are good too. Libraries are a proven method to distribute large amounts of reading materials that cater to a wide range of interests. But they will never show up in in-class-use statistics. But if there is nothing useful or interesting to read, children will simply not get enough practice to become proficient readers. And I do not advocate replacing libraries with electronics. I rather sent a truckload full of books and a catalog. But if electronics (eReaders etc) do the jobs most cost effective, so be it. I really do not care how the "books" reach the children. On the issue of time spent learning, it is one hypothesis posited for the improved outcomes in blended and purely online approaches in the US Dept. of Ed's recent meta-analysis of online learning [PDF]. Television makes a very good target for deriding technology. As such it is a focal point to showcase the failure of technology to improve life and education. I want to step up to the defense of TV. I have commented extensively on the revolutionary power of TV here on ETD "Literacies Old and New" (http://edutechdebate.org/archive/literacies-old-and-new/). See my contribution "You May Eat Too Much, But You Can Never Know Too Much" (http://edutechdebate.org/literacies-old-and-new/you-may-eat-too-much-but-you-can-never-know-too-much/) for details. For the current debate, I would first like to point out that Television has brought about a revolution in the developing world. Just read "Revolution in a Box" by Charles Kenny (http://www.foreignpolicy.com/articles/2009/10/19/revolution_in_a_box?page=full). There is a lot about the life-changing influence of television that is not apparent to the casual observer from the developed world (eg, USA). But I would like to restrict myself to education, TV helping teachers. In the Netherlands, there are several programs for "School TV", which have a limited impact to say the best. There are three "educational" broadcasts with a high impact: Sesame Street for pre-school (http://www.nps.nl/nps/sesamstraat/), Het Klokhuis for older children (6-14 yo? http://www.hetklokhuis.nl/), and the Jeugdjournaal (Youth News, http://static.nos.nl/jeugdjournaal/voorpagina/). Although disadvantaged children will watch these less than children who would not need it, they are quite popular all around. An effort is made to get these disadvantaged children to watch these programs. But I do not want to talk about these neither. I want to talk about the very high beneficial impact TV has had on Dutch education. An impact that shows up in all the educational statistics compiled internationally. Dutch and Danish children tend to be top of the league in English proficiency, world wide. Dutch and Danish children have much better English proficiencies than German children. This might look puzzling, as all three countries share the same socio-economic statistics and educational systems. The one relevant difference is that Danish and Dutch children watch a lot of English shows and movies with original sound and sub-titles. German children watch the same shows and movies, but dubbed in German. This fact alone is able to explain the differences in English proficiency. Here we have a case where children who watch more television and movies will have much better English proficiency, that is, better academic performance. More about this can be found in "What We Can Learn From Foreign Language Teaching in Other Countries" by Ingrid Pufahl, Nancy C. Rhodes, And Donna Christian (http://www.cal.org/resources/digest/digest_pdfs/0106-pufahl.pdf). This finding is well attested by linguistics research. The more you hear a foreign language, the better you will understand it. As a side note, subtitles also teach speed-reading very well. But I have seen no scientific data on that. In short, all the attacks on TV as the epitaph of technological failure are unwarranted. 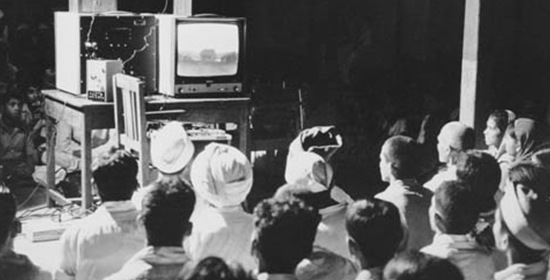 In many communities of the world, the television has proven the revolution that was promised. And if there would be one, evidenced based, advice we could give to a developing country that tries to get its children to learn a new language (be it English, Spanish, Hindi, or Mandarin), then it would be to start broadcasting soaps in these languages, with subtitles. As I said, television is a great means for disseminating information. And, I also acknowledge that it has had many broad positive impacts (see, again, the brief discussion in http://bostonreview.net/BR35.6/ndf_technology.php…. However, as a tool for broad-based fundamental education, it has failed exactly where education otherwise fails due to institutional problems. It's not that TV (or other technology) can't be used for positive ends. It's that the critical part of the equation that makes technology's contribution positive is ultimately human and institutional, and that when those aspects are broken, technology will not fix it. Personally, I agree with Charles Kenny that television is already working to positive ends. We do not have to do something, it is already going on. No one tried to intentionally improve English (and other) language proficiency in Dutch and Danish children. That was just a side-effect of the general influence of TV: Get viewers in contact with other people. I did not even touch upon one of the most important educational effects of TV, disseminating standard language use and increase viewers vocabulary size. That TV might be useless in targeted education is not something I will contest. I just consider random attacks on "TV as the pinnacle of wasted time" a kind of raising straw men. It's very easy to criticize – too easy. You are against technology in schools, although you never define the term and conflate computer technology and technology in general many times. If you are against technology in schools, what are you for? The only implied alternatives are, like Larry Cuban, turn back the clock in schools to 1980 before computers, or perhaps you are more like Neil Postman and want to turn back the clock to the 17th century before textbooks. I won't try to address the rest, but one thing I'd respond to: "Technology might amplify the impact of good teachers, but it won’t fix bad teaching." Again, what is the alternative. The implied alternative is basically the proposals coming from Rhee and others – we just get rid of the bad teachers and everything will be fixed. Except how to identify bad teachers? No one knows. And is there any evidence for this strategy? No. Teachers are human. Teaching is a human activity – and just saying we'll simply throw out the 'bad ones' sounds too much like you are treating them like, technology. Thanks, Doug, for calling out some sloppiness in the article. In this article, "technology" refers primarily to ICTs or electronic technologies. Of course, I'm for books, printing presses, pencils, pens, and even computers when applied in certain ways by competent schools. What I'm for is a strong base of human and institutional capacity first, foremost, and for a long while after. My main recommendation here is that most schools in the world would cost-effectively benefit by focusing on the human factor in pedagogy, rather than on technology. I don't see teaching as a technology — in many ways, good teaching is the opposite of technology in that it is caring, creative, non-repetitive, ultra-customized, and ultimately about nurturing people, not simply making things easier for them. This thought provoking article advocates a solution to the worrying state of education in the developing world: Invest in more teachers and more schools. I sincerely doubt whether this is actually feasible. I even fear it is completely impossible. Let us look at the numbers. I have read somewhere that around 900 million children in the developing world receive inadequate education due to a lack of schools and teachers. This could be 600 million or 1200 million, that does not concern us now. Let us take 900 million as a round number. To get education for these children on a good level, around 30 million adequately trained teachers would be required. Given the state of education in the developing world, this means we would need anywhere from 5 million to 15 million new teachers and retrain between 15 million and 25 million practicing teachers. If we are in a hurry, we would have to train them in, say, 6 years for a 3 year teacher training program, that would make 3-9 million new teachers in training a year. World-wide. This training would require another 100,000-300,000 trainers for these teachers. In addition, we would have to retrain existing teachers, but let us ignore that for now. I can write a small encyclopedia with all the objections to spending $40B/year on OLPC laptops. However, one argument that is conspicuous by its absence is the objection that it cannot be done. Because we all know that it is actually possible to produce and distribute 200 million laptops per year. It costs money, but it can be done. This is technology, and technology is easy. I like the idea of supplying every child with a well trained teacher in a class with only 30 pupils. My sole objection is, it cannot be done. The main question that has to be answered first is why there are not enough teachers in the first place. It is not that training teachers is an unknown art. Teachers have been trained for a century now. It is the question why are we short of 5 million or more teachers world wide? It is all very well to step in front of politicians and tell them they should rather invest in teachers than in technology. It is a different thing to tell them they should double the number of teachers and classrooms and increase their wages to levels that are competitive to those paid in commerce and industry. It is not for a lack of trying. Ever since development aid became into existence somewhere after WWII, it has been known that more teachers are needed. But somehow, these developing countries have been unable to supply them. There are many reasons for this shortage, underfunding, bad working conditions, labor migration away from rural areas, competition from other employers, low social status, bad organization etc. These are social problems. And we know that social problems are the hard problems. And there are no plans on how to solve these very hard problems. So, that is why I think the plan "invest in teachers, not technology" is bound to fail. There is simply no known policy that can solve the problems that plague teacher recruitment and training in less than a generation, if they can be solved at all. Trying to recruit and train millions of new teachers is simply going to fail. Any attempt to just throw money at the problem will fail just as badly as all the other cases where a solution was dropped on these developing countries. By throwing out technological help in education, and proposing a solution that has not worked in the last half century, we end up with no solution. This would mean a new generation of children that lose a chance to get educated and become economically productive. In short, if we simply repeat what failed in the past, there is not reason to assume it will succeed now. The alternative? Try to improve the educational systems as they are now and make life easier for teachers and students. Anything that allows the teachers to spend more time to teach and children to spend more time on learning will help. Some cost comparison. In India, publicly funded teachers typically earn $200 per month, and that's often considered among the best jobs in the community, because it's stable and pays well. That comes to $2400 per teacher per year, or $7200 over three years. It costs the same to provide a class of 36 students with $200 laptops that last 3 years. Of course, many classrooms in India have many more than 36 students; even up to 70. At that point, the question we should ask is, if we can't even provide a teacher for every 36 students, shouldn't we do that first, before distributing laptops? All very true. But my point was that if $200/month is unable to entice enough talented young people to become a teacher in a rural village now, how are the Indian government going to increase the number of teachers severalfold? My comment was not about the costs of training new teachers, but how to succeed in recruiting them where all earlier attempts have failed? To get at the level of even the Caribbean, India would have to TRIPPLE their number of teachers. That is, India has to recruit train and deploy almost a million new teachers. I have yet to see some thoughts about how they would be able to do that. That is even before I would think of what it would cost to do so. Even if a policy would be formulated and money could be budgeted, it could take a decade or (much) more to get the educational system up to a par to that of the Caribbean. What should they do with the children entering school in the intervening years? My point here is not the cost of training new teachers, but the fact that it very difficult to recruit more teachers. If $200/month is not enough to entice young people to work as a teacher in a rural village, how can the Indian government increase the number severalfold? "India has one of the lowest ratio of teachers. In the US, it's 3,200 teachers per million people, in the Caribbean it's 1,500, in the Arab countries it's 800 and in India it's 456 teachers per million people,"
If India would try to get the number of teachers to a level of even the Caribbean, it would have to TRIPLE the number of teachers. That would mean it would have to recruit, train, and deploy almost a million new teachers. It is not the cost I am worried about, but the shear scale of the task. I have seen no thoughts about how such a thing could be achieved. And even if a policy was formulated and a budget allocated, it could still take a decade or (much) more before the schools in India were at the level of the Caribbean. What should be done for the children that enter and leave school in the meantime? That would be half a generation or more. Why is there no mention at all of the research and findings of Sugata Mitra which led to his theory of 'Self-Organized Learning Environments' ? His findings point to the use of computers / technology by groups of children, one (1) computer per four (4) children with broadband internet access and an 'granny' for the support / motivation. He is convinced that: "The educator's most important job is to ask the right questions. Students will figure out the rest.". Thanks for the comment. I know Sugata Mitra (he visited my group in 2005 when I ran a technology-for-development research group in Bangalore), and his Hole-in-the-Wall project was an interesting experiment. I think his comment points to one terrific way to accomplish education. But, we shouldn't underestimate what it takes "to ask the right questions," with the right tone and the right pacing. A good "granny" in this context would necessarily be a great teacher, and she would be able to elicit great education without a computer, as well. With respect to 1 computer per 4 children, I refer you to the cost comment in my response immediately above. This is simply not a cost-effective way to spend what are already limited budgets. I read with interest this article posted by Dr. Toyama and listened to his presentation in Qatar recently. I was then and remain surprised by the total absence for the consideration of the students' voice in this discussion. At the Canadian Education Association, we have been studying the level of intellectual engagement of students (over 60,000), coming from a broad range of school districts. Our findings of this research indicate that the levels of intellectual engagement of students are low, yet at the same time, these very same students are demonstrating high achievement results on tests. We have advocated that the inclusion of the students' voice can play an important role in the design and elaboration of effective learning/teaching strategies and approaches. Are we listening? Are we even interested to hear what students have to say about technology in the classroom? Or will we simply dismiss them and tell them that "we" know better and the continuance of traditional approaches will serve them well? Does intellectual engagement really matter or is it simply more important to do well on tests that measure common skills (whatever century)? Will we accept that learning can actually be fun? Can it be different? A closer look at research on dropouts indicates an increasing desire to have curriculum, methodologies and tools (yes, even including ICT) be relevant and meaningful. Do we simply ignore what they are saying and say, sorry "we" know what is good for you? Any tool poorly used in the classroom can and will create problems/issues and that applies to ICT technology, textbooks, chalk, blackboards, pencils and paper. I have seen countless great teachers have to struggle with poorly designed textbooks or out of date materials and yet, I never read any articles calling for the exclusion of textbooks from classrooms, or suggest very careful integration and usage. I also am saddened by the constant inference that the people who are trying to lead school districts/schools/classrooms are gullible. I have been closely involved in the technology in education context for some time and am more intrigued by how educators HAVE NOT integrated technology into the classroom. The Pro-Technology Rhetoric that you refer to emanates from a minority (and many tech suppliers). If you ask Ed Tech. associations that have been openly calling for more technology into the classroom, they too will admit that it hasn't really "happened". The National School Board Association (US) just hosted their last Technology and Learning conference. So it might provide some comfort in knowing that the integration of technology is being given very serious consideration and thought. I have coined a term that I use when talking about change in education: "Impressive but not Convincing!" In closing, you have clearly spent much time and energy on this article and thank you for this. However I found few new insights to add. Other than stating that there are no shortcuts to good education, (and having worked as a public educator for over 35 years), we all know that nothing ever replaces a good teacher. But in these times, it behooves all of us involved in education to be more considerate of how students want to learn, listening to them and maybe, just maybe, they can give us clues/insights on how to further enhance the quality of education in classrooms around the world. I suspect that they will mention ICT. The students voice: Will we listen? Thanks for your comments, Ron! (cont'd) As for the gullibility of educational leaders, I apologize if that was implied. 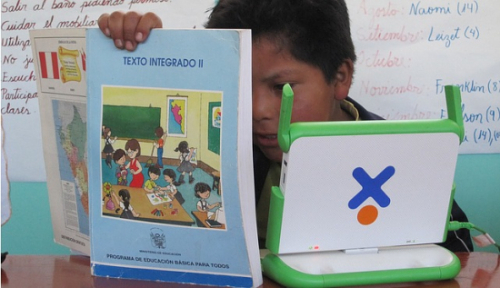 I was glad to see how many developing countries declined any national OLPC program, despite Negroponte's wooing. I do believe that many ministers of education are tempted by national PC programs, though, not because they're gullible, but because technology programs are a quick, visible way to claim impact. I'm glad that we agree that "nothing ever replaces a good teacher"… but it's exactly because that's not a sentiment shared by everyone (see other comments! ), that I continue to write. Within the ICT development community it seems we work in an area that assumes a need (education) and assumes a solution (computers) and go right ahead and throw a poorly defined solution at the need and we are then surprised that it doesn’t work. Do that anywhere in the world and the chances are it won’t work, but unfortunately many talented professionals enter this community and leave basic business practice aside. To be clear: Any developed world company analyses the market, the competition, the distribution systems, the gatekeepers, the clients, the customers, the people, their motivations and fears, identifies their needs and if the are really smart also their unexpressed needs. They do this before they test their “solution”. They then adapt their solution to real need, often to an unexpressed need that emerges only after a soft launch. They then keep on adapting to emerging needs. They do this not only by country, but by each respective market segment and are obsessed about client and customer experience. Ongoing. Companies, governments and NGO’s that don’t perform this basic business practice often see their efforts end in tears. Sorry but that is really basic. And we all know it, but seemingly choose to believe the developing world doesn’t need such investment of time and effort. Kentaro correctly refers to motivations and implicitly to the importance of gatekeepers, but concludes that technology doesn’t work in the classroom. Great analysis but a provocative and erroneous conclusion that leaves the reader feeling it is technology that is the problem. It is not. The problem is often how we have approached the challenge. There are technologies that may work for teachers and not for students and vice versa or maybe for both or for neither. But has anyone taken the time to not only ask students and teachers not only what they think they need but also to identify through observation what they might need? And then test it with no expectations of success of failure, but simply to learn? At worldreader.org we are trying to do exactly that. We may be wrong or we may be right about e-readers and their capacity to dovetail into an education system without significant disruption to the “system” itself. E-readers have the advantage that they carry books, a familiar tool of learning to many teachers and students alike. We are not so worried about the poorest or the best, but rather about the enormous middle segment of teachers and students that would excel if only they could have access to books to further develop their basic literacy and critical thinking (our assumption). This we believe would create the critical mass of people that could transform their societies. We are pretty sure in our pilots we will be somewhere between success and failure and we will adapt the offering (technology, content or approach to market) as we learn and contrast that with results from other markets and other segments. By the way, the education system is basically a distribution mechanism that we bet will advocate the utility of reading. The real learning as some of you have commented in posts will take place when the students take these devices home and read content they have chosen for themselves be it football, poetry, African literature, politics, romance, history or creativity. The same frankly goes for the teacher who will be able to enjoy reading about his own subject or about what takes his/her fancy. For many of us, the simple act as kids of choosing and reading a continuous series of 80,000 uniquely worded books (and extract meaning, no mean feat), has changed our lives. It has allowed us to become individuals who can critically participate in the interconnected globality that we live in. Given increasing 3G connectivity we can now give that same opportunity to many others. The article is a wonderful provocation to the ICT development community (and we need that), so I congratulate Kentaro for so eloquently laying it out. Thanks, Colin. I agree that if you're going to use technology in the classroom, you need to bring to it all of the practices of running a good organization. But, I would flip that around and say that (at least for schools), if there isn't a good organization in place, then a technology-led program won't save the day, any more than a new-PC-and-state-of-the-art-datacenter program will turn around an unprofitable company. I know a bit about Worldreader from your co-founder David Risher. I have to say that it is just the kind of program that I would normally discourage (for opportunity cost reasons), but I think your team has been going about things in a careful and impactful way so far (good human intent and capacity!). My primary hope is that that care continues, and that when you come upon the situation where Minister X decides he wants to do Worldreader for all N million of his students, that the decision will really be made based on the well-studied, superior cost-benefit of the program for education, and not because N million is a large number. I, too, want time to think over a longer comment on this essay, which will be forthcoming. But I did take a look at the Saugus study, and I'd like to know a bit more about it. In particular, my first impression is that the reported hours of netbook use seems to me to be pretty high. Did these students have any preparatory skills, particularly keyboarding, or were they doing composition by hunt and peck? That can really slow you down. Thanks, Mark — I do my best not to misrepresent you. (I do mention some of the positive results you're finding in the United States in Point 5 above, of the different ways that computers can contribute to schools.) The critical precondition is that the schools have to be well-run to begin with… a point I believe you also agree with. Technology magnifies pedagogical intent and capacity. I find this article little more than sophistry. Tell us what led you to the road away from Damascus? Tell us about why now you're no longer at Microsoft, or why Microsoft's One Mouse per Child is so great. Back to basic's? What next Ken? One mousepad per child? Thanks, Jim, for asking some questions that are easy to answer! I left Microsoft because after trying to find technology-based solutions, I stopped believing that technology was the critical aspect of positive change, even if it could contribute to it. I often talk about MultiPoint ("One Mouse per Child"), but only as an example of yet another ICT4E project that has positive outcomes in a narrow sense, but doesn't solve the deeper challenges of poor education. I often talk about technology as a magnifier of human intent and capacity. I think of intent as the direction of effort — positive, negative, and everything in between — and capacity as the degree to which a person or institution can move in the direction of intent. Technology is a scalar multiplier to that, so that if you start with positive intent and some capacity, things get better; if you start with negative intent or infinitesimle capacity, technology makes no positive contribution. For education, this means, teacher and adminstrator intent and capacity have to be positive, before technology could conceivably have positive impact. Here we have a situation as is classical in the developing world. There are children that have to be educated. They lived too isolated to make visiting a real school feasible. So, school was delivered over the air by two-way radio. Note that these schools of the air serviced only small groups of children (140 for Alice Springs). This was about twice as expensive as conventional schooling. I have not been able to find any results in terms of academic performance of the students. I believe the (implied) message that technology invariably fails to deliver education where teachers are scarce or poorly trained must be dismissed. It is indeed possible to extend the reach of education using technology. This is a nice example of technology working well, but it's exactly in hyping a project like this as a "technology project" that the problems arise. I have never visited this "school," so I can't say from firsthand experience, but even reading the links you provide, it's clear that there are lots of teachers (14+5 for 140 students, or better than a 1 to ten ratio! ); the teachers are good; and the administration of the system is good, thanks to a combination of attentive parents, tutors, a working correspondence system, and what I'm sure is good administration. It's also interesting that the teachers make weekly visits to all of the students — it's not a lot, but a good teacher can make a lot of use of that time as a way to motivate and encourage. If the lesson you drew from this example was that airing a 30-minute radio show daily over the air was enough to educate people without a real school, that would be a tremendous error. I could not agree more with Rob Van Son and Doug Houlton's above comments on the nature of how myopic the definition of "technology in education" is presented in this article. I'm reminded of Kevin Kelly's recent tome "What Technology Wants." (http://www.kk.org/books/what-technology-wants.php). If there is to be a proper and comprehensive definition of "technologies" and an equally thorough review of their role in the acquisition of education throughout history, I am convinced that the conclusion is positive. Your statement, "Technology has never fixed a broken educational system" is thus confusing: are you speaking to the history of all technologies in all educational systems? I do appreciate the nod this article makes to the importance of holistic approaches to ICT integration, however I cannot help but marvel in discomfort at this apparent need to define benchmarks whereby "experts" descend to qualitatively (and thus subjectively) decide when and if a given education system is "ready" to use the tools of the well-off. I believe Maria Sara Rodriguez, above, referred to this "paternalism" as well. This article did make me think of a catalytic benefit of ICT4E that we've seen mentioned on ETD before. If interventions in the classroom (or in the telecenters you visited in your Boston Review article) prove ineffective in showing positive results on the (sometimes narrow) matrices used for measurement, and if the analysis concludes that improved teaching is needed, is that not a benefit resulting from the intervention itself? In other words, had the school continued to pump money into its existing teacher training prior to the intervention, they might not have articulated what about the training process was failing. The intervention can serve to isolate these inefficiencies, much like biologists use frogs to measure air quality. I kept waiting to read mention of parents in your article. Most schools, even poorly performing ones, depend on parental approval for survival. This is ever-more true in India's low-cost private schools, as you probably know. If parents are on board with an ICT4E intervention, they very well might put pressure on their child's school to catch up on the times, without loosing a beat on the development of critical thinking or analytical skills. It is a functionalist and catalytic role for ICT4E, and the consumers of education are voting for this all over the world. Are they all wrong? Is it that dichotomous? Lastly, I'm not sure I understood your comparison with textbooks. I have read similar "rhetoric" before, and the reply I come to: netbooks in recent ICT4E interventions typically come with encyclopedias and, increasingly, an eGranary (or similar) e-library. The sheer magnitude of texts available needs to be more accurately described in your comparison, as it can be a significant consideration in the TCO. I stand by the claim that "Technology has never fixed a broken educational system." This doesn't mean that technology has never contributed positive things to education. It does mean that when those positive things happened, they were undergirded by someone's (usually, someone with power and money) positive intent and capacity. It also means when you have a failing educational system, technology-led initiatives are pointless until you fix the underlying human/institutional system. As to paternalism, I believe development is inherently paternalistic, and the best we can do is to mitigate the negative aspects of paternalism. But, in this instance, the intent is not "we, who are rich, know what is better for you, who are poor," but rather, "some of us who have studied the impact of technology in education think that technology will only help if you have other conditions in place first." I have seen some NGOs running great schools, and also making good use of computers — that's great! Thanks. Regarding the pervasiveness of paternalism in development discourse, I agree wholeheartedly. At the root of it, that is why I take issue with your claim that certain educational systems do not possess the capacity or informed intent sufficient to benefit from the scalar multiplier you mentioned as a possible positive outcome. If I should be more specific, I would say that I think it is a fundamental mistake and dangerous oversimplification to classify any educational system as either "broken" or "fixed." I understand you were likely meaning to speak in general terms, but it smacks far too much of No Child Left Behind to be left unaddressed. Namely, I believe that an environment of educational regulation built on such a linear projection will inevitably hinder innovation for everything from teacher training to definitions of functional literacy. We are far more complex than that, and the immense diversity and idiosyncrasies of our education systems worldwide are the best living and organic examples. If we then take your claim at face value, it must follow that no teacher-training certification program has never (fully) fixed an education system, because the systems receiving the teachers are themselves in constant flux. Teacher training programs need persistent refinement and contextualization, as do ICT4E interventions, as do the educational systems themselves. I mostly agree that nothing replaces a good teacher. Nothing, that is, except for a better teacher. I find it a bit strange to suggest that ICT4E efforts are good if they lead to a recognition that improved teaching is needed. Every school could improve their teaching, and there are more direct ways to find out how. I doubt that putting computers in schools is the best way to discover that Teacher X can't manage his students, that Teacher Y is absent 30% of the time, or that Teacher Z should be more liberal with praise. Parents are absolutely important. I applaud program's like Peru's APAFA, which is a kind of legally enforced PTA. What I would say is that to the extent that parents are involved in their schools, the better, and the more likely that the school itself will do well. But, if they're not (as is all too often the case in many developing countries, as well as poor communities in rich countries — see, for example, Annette Lareau's work), and the school is failing, again, that's not a problem that technology will fix. I'm glad you mentioned Peru's APAFA. Local APAFAs inputs are being taken in the evaluation of OLPC in that country, and I was pleased to see that the initial results indicate that teachers in treatment schools reported improved relations with the APAFAs (see the preliminary IDB report). Although not specifically mentioned in the report, my hunch is that the OLPC deployment significantly increased the face time between teachers and local APAFAs. Few would claim that an ICT4E intervention would be able to completely resolve the problem of incompetent teachers. And, as I said above, every teacher can always improve. But the intervention's role as a catalyst in improving stakeholder involvement in educational advancement is rarely addressed. I felt it was missing from your article, even on the mentions you made of successful ICT4E interventions. I'm glad you mentioned Peru's APAFA. Local APAFAs inputs are being taken in the evaluation of OLPC in that country, and I was pleased to see that the initial results show that teachers in treatment schools reported improved relations with the APAFAs (see the preliminary IDB report of July 2010, p.7). At worldreader.org we are trying to do exactly that. We may be wrong or we may be right about e-readers and their capacity to dovetail into an education system without significant disruption to the “system” itself. E-readers have the advantage that they carry books, a familiar tool of learning to many teachers and students alike. We are not so worried about the poorest or the best, but rather about the enormous middle segment of teachers and students that would excel if only they could have access to books to further develop their basic literacy and critical thinking (our assumption). This we believe would create the critical mass of people that could transform their societies. We are pretty sure in our pilots we will be somewhere between success and failure and we will adapt the offering (technology and content) as we learn and contrast that with results from other markets and other segments. 1. the school mandate is to train upright educated citizens, able to thrive in the environment they will find once out of school. It is hard to think that this envirnonment will not increasingly embed computers of some form and the internet as daily tools for working and living: this is already the case in urban areas and it's increasingly so even in rural areas. Therefore providing teachers and students with access to computers and the internet can be well considered, IMHO, part of the institutional mandate of a school, especially when this access will be not affordable otherwise. 2. Moreover, when the student-to-PC ratio is high, they tend to use them collaboratively, so there's a lot of peer learning going on, if they are given the chance to communicate. To some extent, this arguemnt goes against the 1 PC – 1 pupil approach, as having to work in couple on the same PC, vicarious learning might occur. Summarising: I believe that developing a basic familiarty with such devices, even autonomously, not directed by teachers, has in itself an educational value, as students and teachers when given the opportunity to use the PC actually DO things with it. I've seen Brunundian teachers loving Encarta to prepare their lectures, as they don't have textbooks available, just the notes they copied at the University -the good ones – which were their copy of their professor's notes, of course. I've seen teachers building their own textbook with their students "distilling it" from the wikipedia. I've seen teachers becoming addicted to the French educational TV show "C'est pas sorcier" very much the same way I was fascinated by David Attembororgh's "Life on Earth" when I was a kid. This is learning made possible through technology and not possible otherwise in that context. "This is not formal learning" Fair enough. "This is not sustained motivation" It's arguable: I think it entices curiosity. "This doesn't develop any critical thinking, collaboration, communication and creativity" It doesn't automatically, but it allows for it in many ways! Certainly, I don't think this sort of learning is neglectable and can be dismissed as "distraction" or "novelty effect". This might be the case in so-called developed countries where students could be tinkering with their computer at home, at work, everywhere, not where computers are rare and schools are the only place it can be done. It's like students going to school at night because there's neon light to study whereas at home they don't have electricity. Having said that, nobody will think that PCs alone can replace teachers, or as Arthur C. Clark once said "a teacher that can be replaced by a computer, should be". Likewise, I think we all agree that "at the end of the day is the human being that makes the music", aka the teacher, and bad teachers will not be fixed by technology. 3. I reckon that one cause of failure in ICT4E projects that you don't consider in your article is the lack of ownership that is very common in many such project where PCs are "poured" into the schools and that's it, job's done. I think there is an intermediate link which is often overlooked in such projects which is the necessary training to service the technological infrastructure, so that there is someone appointed to be responsible for it and who has been trained well enough to feel confortable with the technology s/he has to administer and knows whom to ask for help if needed. The most common comment I heard from the people I trained in system administration – mostly completely PC illiterate before – was that they had won the fear of technology, they would dare opening the case and touching inside the machine, installing a new software and play around with it. To build this confidence in someone in charge of the maintenance is crucial and this is a weak link that lies inbetween the techies and the pedagogists and taps onto the administrative level. Without it you don't even get to the point where you can devote energies in training the rest of the teachers to integrate the pedagogical use of computers in the curriculum of subjects other than computer literacy in itself. And why should we want to do that? Because I believe it can help teachers in their noble aim of "infecting" students with their passion for learning (see http://www.teachers.tv for some examples). 4. Opportunity costs. This is the trickiest one. Should we be investing more in deworming pills, regular textbooks, pedagogical training and higher salaries for teachers and less in costly and fragile technology? Probably yes, but I did witness a few cases in which the school computer lab was used as a cybercafé, a computer training center, or rented to NGOs on week-ends in order to provide an income to the school for its own sustainability and even as an extra flux of money. So, where a savvy administration is in place, technology is not necessarily just a cost but can generate revenues as well. I do admit though, that these were not the majority of cases and that striking a good balance between serving the school population and setting up a service for the local community to earn money is not an easy task and requires a wise leadership. Surely, this is something different from the OLPC, 1-to-1 approach. 5. All in all, although I strongly believe that people – teachers AND students – and not technology should be always our focus, I do obviously agree teachers' training is key to good education, but I don't agree that we should keep away from technology as it has proved to do more harm than good unless the school is good already. I think an effective use of technology is possible even in deprived contexts, provided that we take into account the whole context and we address the implementation of technology as an holistic process, without forcing and imposing, but patiently "going with the flow": gradually empowering local pioneers to become opinion leaders and existing opinion leaders to become pioneers. Such sensitivity though, is hard to get with the current aid system, especially in large scale projects, as the mainstream approach tends to be standardised, top-down and too tightly time-bounded, not allowing for flexible improvisation. Thanks, webrunus, for a very carefully thought out response! On the whole, I agree with you. My claim has never been that technology cannot be useful, but that, (1) technology cannot fix broken educational systems, and (2) when technology works positively, there are competent, well-intentioned people behind it. Individual, positive examples of technology working are terrific, but if the conclusion from such projects is that we should therefore spread the technology to improve the situation for other contexts, then that's an overgeneralization. For every child being inspired by David Attenborough, there are hundreds watching cartoons. It's not TV that's providing the benefit (though it enables it), it's whomever has decided to broadcast educational content, and more importantly, it's policy (in the family or in the government) that limits empty entertainment during child TV-viewing hours. As you put it, wise leadership is what is required from the top, and from the bottom, wise aspiration. Without the wisdom, the technology doesn't get used well. With the wisdom, everything works well, including technology. So, where should we put our efforts? Hi I think we must separate two thing. First you are right when you say: technology is unable to substitute for good t,eaching. Because teaching is not only about knowledge, but also about educating. Second, good teachers are necessary to use technology. I mean my observations about high performing teachers shows that they are more tech savvy and use technology better than low performing teachers. Moreover, low performing teachers do not use the technology provided efficiently. I believe that technology is like a sharpened knife while old teaching mthods were unsharpened knives. High performing teachers were sharpening their knives as much as possible and were teaching very well while low performing teachers were using directly. Now teachers have sharpened knives. But still we need teachers who can use sharpened knives correctly. I agree. And, while sharpened knives are great tools, if you had to choose between a good chef with a bad knife and a poor chef with a great knife, you'd want to choose the former. If I was to condense this long and thoughtful article to a twitter post ( and I am not sure that is a very wise thing to do) I would say that you have successfully proven that the Education system is very poor at adopting new technologies (and even to change at all). The thrust of your argument is that we should blame the tool when it is used poorly. An interesting conclusion when every other public sector has successfully adopted technology to improve services and reduce operational costs. Why is it that Education struggles so much to do this?Another useful, but totally absent discussion is an evaluation of alternative approaches to solving the huge education problem facing the developing world. I am sure we can all write equally well thought out reasons why it is imposable to improve the situation at all. (See post by Robvanson saying why it is impossible to provide enough trained teachers)A more useful approach would be to ask is it possible and then desirable for ICTs to be used? I believe a number of educational experts have concluded that it is certainly worth trying, perhaps not as the only solution, but as a part of a total solution. Of course, we need toilets at schools and we need healthy teachers and students, but surely we are not saying we can only do one thing at a time.I note your discussion on the TCO for ICTs. Have you done the sums on the TCO of having uneducated children? Then we can see if the cost of ICTs, or any other improvement proposal, is acceptable.It is quite clear that the current education system is not working for developed countries. What we need is proposals to fix that. Thanks, Ian, for bringing out a point that other commenters have hinted at implicitly, but haven't stated as clearly as you: "that we should blame the tool when it is used poorly." No, I'm not blaming technology! I'm blaming people and institutions. And, that's why they're where the turnaround has to start. Using technology to fix an educational problem is like buying a better scalpel for a quack. It's people who ultimately decide whether technology has positive or negative impact. It just so happens in education, that when you get the people part right, it obviates much of technology's supposed value. As for TCOs, what I mean is that ICT4E must be compared against TCOs of other investments in education, many of which have proven impact on learning. I certainly don't mean that we should let uneducated children go uneducated. This semester at Carnegie Mellon, I'm teaching an undergrad + graduate level course on the role of technology in learning in the 21st century. (The course will have an emphasis on education in developing countries since that's one of my research focus.) I'll be using Kentaro's article in my first class this week for an in-class activity, in which students will raise their reactions to the article in a post-it note activity. I'm sure this activity will generate several excellent questions that we'll use to motivate the material that I plan to cover in the rest of the semester's course, which is centered around what the science of human learning has to say about these questions. Before we think about putting technology into the equation, let's first focus on how people actually learn and the conditions — including social — necessary for learning. Thanks, Matt! I would love to hear what your students have to say. And, I'd be happy to have a discussion with them (using ICT in some form to mediate the distance!). Huzzah, Matt! I completely agree w/your last statement. And that kind of thinking is exactly what led me to tweet: When designing an #ICT4D intervention, the fidelity of your underlying models/frameworks & assumptions is critical to success. Climb into the Wayback Machine and regress with me about 30 years. I am not a teacher, but I have two school-aged kids and I serve on the site councils at Philadelphia Elementary and Garey High School (Pomona Unified School District). The schools are looking at computer assisted instruction. State of the art is main frames; we visit 3 demonstration installations (in Camarillo, Los Angeles, and Hesperia, if I recall correctly). A proposal is floated to contract for one of these at Philadelphia, but there is a catch–it will be paid for by dropping currently employed classroom aides from our school plan. I talk personally with uptown administrators. It appears they are taken by surprise and were not aware of the proposal. The proposal itself subsequently quietly disappears. My conclusion: The decision makers have weighed the relative merits of machine-time vs. people-time (and the political risks of laying off a bunch of people) and have chosen people-time. I think it was the right choice. that times have changed. Could it be that they have changed to the point that machine-time is now considered more effective than people-time? The effect is that the competition between technology and other forms of educational investment is no longer a concern. That competition has not been resolved, merely set aside. Technology money is not competing with books, field trips, instrumental music programs…. The money is there; if we don't spend it, someone else will. Some districts will look around and copy their neighbors, others will buy whatever looks good from the usual commercial suspects, and a few will partner with university graduate schools to attempt rigorous research. But the money will be spent. If nothing else, one can always send big bucks to a hosting service to make a fancy web site for the district. We can count on the money to be there, at least until the citizenry starts asking questions about the multi-paged phone bills. while we cover the story," with everything reduced to visionaries vs. Luddites. Those of us actually engaged in educating the next generation are capable of more nuanced analysis. In my next comment I try to describe from my own experience how one specific application addresses some of Kentaro's concerns. Thanks, Juan, for some nuanced comments. I agree that where budgets are ring-fenced for technology, the question then becomes how best to spend that budget. (And, I have written elsewhere about that — all along the lines of making sure to put it in the hands of a competent organization/person, and to argue that the budget should cover technology support — often human — in addition to the technology. Corporate IT budgets are never just about hardware; schools need to learn that it takes staff to run technology.) But, I suppose, in this article, I'm making the case to people who actually control the budget at the highest levels. I wrote programming for a number of learning activities, but I want to comment on just one. It was a routine to enable students to check the paper-pencil exercises that they were writing from the adopted math text. The computer would present the student with just three questions: 1) "What page? ", 2) "What problem? ", 3) "What is your answer?" Page and problem number would come from the textbook, of course. The answer would come from the computation that the student just did on his paper. The machine would tell him if his answer was right or wrong. That's all. Too simple to be useful? Not at all. It turned out to be the most useful application I ever used. To see why, let's look at a typical instructional situation. 1) Do the first problem on your paper. 2) Check your answer on the computer. 3) If your answer is wrong do NOT go on to the next problem. 4) If you can't figure out what you did wrong, raise your hand and ask for help. What effect does this have on student behavior? Well for a few, no effect at all. These are the ever-present daydreamers who didn't hear my instructions. But for those who were listening, the effect is dramatic. First, a good percentage of those who make mistakes find the problems themselves and go on to the next problem without bothering me. This leaves me free to concentrate on those who really need more help. Second, it completely prevents practicing an erroneous algorithm. Third, for many students the immediate feedback is a powerful motivator. They don't want to wait until tomorrow to find out if they are doing it right. If I neglect to fire up the computer, as I sometimes do, they call that fact to my attention right away. Fourth, the system helps enable what I consider a preferred practice: genuinely individualized instruction. Every student in the class can be working on a different page in the book, and by the end of the school year, they are in fact pretty much scattered out. I say "helps" enable because the computer by itself is not enough. I did individualized math for most of my 21 years in regular classrooms, and I found that the presence of the instructional aide was pretty much a necessity to make it work. application, 3) It was a powerful motivator, and 4) It helped enable best practices. I appreciate this description of your experience. I think it nicely illustrates how technology can amplify the effect of a single, good teacher, but that it in no way could have substituted for him. Many people would take this example and say, here's Juan with teaching capacity X. Add technology, and capacity increases to X + Y = Z. So, let's take technology, spread it, and assume that we'll see benefit Y everywhere. What I'm claiming is that technology's impact is amplificatory. Juan is X. Include technology and it leads to the same Z, but not Z = X+Y, but Z = X * Z/X. Now, take the technology to a school with teaching capacity 0. You then end up with 0 * Z/X = 0. Extremely simplified, but that is roughly what I mean when I say technology's impact is multiplicative, not additive. Thank you Kentaro Toyama for a thought-provoking article. You hit a nerve with me (and evidently many others). I have been following this on-line dialogue and while I see tremendous potential in the appropriate use of ICTs, I can’t help but to compare the observations many have shared about their experiences implementing ICTs in developing countries with the challenges I see where I teach. I teach elementary school in a highly affluent school district fully equipped with computers in every classroom, computer lab at each school site, Smartboards, laptops, document cameras – the works. Additionally, teachers and support staff are highly educated and trained. In short, it is the ideal environment for thriving ICTs, and yet they are under utilized in many classrooms. How does all this relate to the discussion at hand? From what I have seen even in the best of circumstances: ICTs are costly to operate, difficult to maintain, investments made without a thorough needs assessment and teacher buy-in can result in wasted or not fully utilized resources, and technology alone is limited in its power to elicit higher order thinking from students (a key point that is glossed over in so many of these conversations). So the real questions, I think, relate to how various ICTs are implemented and utilized. What specific learning objectives are we hoping to realize with these tools? Are these tools the most cost-effective, appropriate solutions for a given community? How are the specific objectives evaluated? While my teaching context differs vastly from those found in developing communities, I imagine the very challenges we face here must be magnified in settings that have weak infrastructure and lack resources. Isn't the whole problem not that the focus of all the "interventions" is on "Education in the classroom"? Like my other comment on public libraries and literacy, I would state that schools should teach face-to-face in the classroom, and children should use other resources, be it libraries or the Internet and social media, outside the classroom. This does look a lot like the financial focus in many developing world countries on expensive hospital treatment, including intensive care units. In the mean time, what people in the villages really need are oral rehydration therapy and vaccinations. But these are not used in intensive care units. Thanks, BEBeltran, for an honest, self-aware response. I find, in a paradoxical way, that it's exactly teachers and administrators who have the capacity maintain some skepticism for technology, who end up wielding it most effectively — probably because their goal is always focused on education, and not on technology usage. I agree with all of the questions you're asking at the end. Those are the right ones to ask, and you're absolutely right that the challenges you see in your wealthy, highly capable school system are even greater in poorer environments. Rather than complain, it would be a better use of our time and energy to look at solutions. Yes, teachers are critical to the success of ICT4E. What training do teachers in various countries receive, either in teachers' colleges or on the job? What can we give them? What resources are made available? Do teachers have to rework their entire curriculum themselves in order to integrate computers into the classroom, or can we rewrite the textbooks and provide enough sample lesson plans for them? These questions have obvious answers. Appropriate training and support is certainly possible. Textbooks can be put into electronic form and licensed for free distribution. We can begin to apply software to e-learning materials, not just creating static PDFs of existing materials. Less obvious is how it will be provided. Who will take the initiative in organizing and funding? Who will do the research, the development, the evaluation? Can experience feed back into continuous improvement? Where will the political will come from (meaning building popular support, particularly among voting parents)? I can make some suggestions, and there are others who know far more about one aspect or another of the problem. How can we recruit teachers for villages? That's a harder one. Not from the cities, as a previous comment notes. Greg Mortenson (Three Cups of Tea, Stones into Schools) suggests that we grow them on the spot. From every village where you build a school, send one girl (usually, though not always) who wants to be a teacher to college. There is more to it than that, but we could get into details in a different discussion. We have field experience in supporting and training teachers in places like Nepal and Ethiopia, where startling advances have been made on one part or another of what is needed, overcoming major teaching and learning deficits in entire schools. When we decide to bring the best practices of all of these projects together, we will have much more to offer our billion children and many millions of teachers than has so far been dreamed of. Who would rather teach teachers how to teach children to make candles, rather than curse the darkness? Thanks, @Mokurai, for leading a call to action! I would just say that it can save a lot of time, effort, and resources, to make sure we know we're headed in the right direction, before we head off into the wilderness. I would argue that some of the organizations you cite have drawn educational budgets away from proven interventions and into unproven technology interventions, which hurts the cause more than it helps. Why assume that technology must be a part of a good education? Some educational organizations I encourage supporting include Shanti Bhavan (http://www.shantibhavanonline.org/), Rishi Valley (http://www.rishivalley.org/), Christel House India (http://www.in.christelhouse.org/), Balaji Sampath's "Science Dialogues" (http://www.ashoka.org/node/3629). This is a list that is dramatically skewed to organizations I'm familiar with, but each one is doing something unique for children of low-income families. Estoy de acuerdo con usted cuando menciona que las tecnologías de la información y comunicaciones no pueden arreglar un sistema educativo que se encuentra roto o es débil en su estructura administrativa y académica. También estoy de acuerdo, con su otro punto de vista, cuando usted menciona que las tecnologías de la información y comunicaciones amplifican la capacidad de enseñanza de la cual disponen las instituciones educativas que cuentan con estándares de calidad (EQFM, ISO, etc). Sin embargo existe un punto que usted no ha mencionado. El uso de las tecnologías de la información y comunicaciones implican una redefinición del sistema educativo y del rol de sus actores, tal y como lo mencionan en Transforming American Education: Learning Powered by Technology. Office of Educational Technology, U.S. Department of Education, 2010. Page: 64 url: http://www.ed.gov/sites/default/files/NETP-2010-f…. Para explicar esta idea propongo un simple ejemplo basado en mis observaciones en varias instituciones educativas de gestión privada (sinónimo de buena educación en los términos que el sentido común puede entender "buena educación"). El ejemplo dice así: En este colegio los alumnos reciben clases de computación en un laboratorio de computo. También usan las computadoras e Internet para complementar su trabajo con otras asignaturas. Los profesores y los alumnos cuentan con computadoras en sus domicilios y se entregan las calificaciones y el avance académico del estudiante por la Intranet de la institución educativa. Todos asisten a clases de 8:30 a.m. a 3:30 p.m. de lunes a viernes. Se cumple el programa curricular con bastante regularidad y los estudiantes se encuentran dentro de sus niveles correspondientes de comprensión de textos y lógicos matemático. Este escenario se puede definir como "una buena educación" donde las tecnologías de la información y comunicaciones son empleadas para "amplificar la capacidad pedagógica del docente y de la institución educativa". Pero esta optima situación puede caer en lo que ya se ha referido como la paradoja de la productividad en la lectura a la cual hemos hecho referencia. ¿Cómo escapar de la paradoja de la productividad en la cual se puede encontrar atrapado el sistema educativo de los países en vías de desarrollo? (y me atrevería a decir que varios del primer mundo también), mejor dicho de la "buena educación" que hace uso de las tecnologías de la información y comunicaciones. Al parecer, como lo mencionan en el documento al cual hemos hecho referencia, la solución se encuentran en la re definición del rol del sistema educativo en su totalidad y de las relaciones existentes entre sus actores principales: director, docentes, alumnos y padres de familia. ¿cómo se re definen esos roles? ¿Cómo se puede pensar un nuevo sistema educativo totalmente diferente al que conocemos ahora que emplee de manera intensiva las tecnologías de la información y comunicaciones? Tal vez la respuesta se encuentra, como ya lo dijo otro colega en este mismo foro, escuchando a los estudiantes, quienes son los que más usan las tecnologías de la información y comunicaciones de manera habitual. Es difícil encontrar respuestas definitivas a estas preguntas, por el momento. Sin embargo el diálogo aturado, intenso y consistente, entre colegas, puede permitir que en diferentes lugares del mundo, a partir de las condiciones antropológicas, psico sociales, culturales, económicas y geográficas se pueda encontrar la manera de como los respectivos sistemas educativos pueden aprovechar de manera productiva el uso de las tecnologías de la información y comunicaciones para no vivir en una paradoja y brindar una buena educación. I am open to new ways of thinking of education, but I also think the bar set by good, existing educational systems is quite high. It's easy to talk in the abstract about how technology could completely transform education. In reality, however, I have not seen concrete examples where such a transformation takes place such that the students are dramatically better educated than well-educated students who are brought up with little technology. I think one thing that this discussion reveals is the need to move the overall educational technology debate towards more concrete examples of how ICT actually transforms education today. What are the exact ways in which a computer in the classroom could radically change education? Consider it important at this point, continuing the line of your article and your response, to know what the exact ways in which a computer in the classroom could radically change the education, would have to refer to the work of Barley (1986. 1990 ) as quoted by Orlikowski (1991) in the following quotation. "A third perspective on the relationship between technology and structure is provided by Barley [1986, 1990], and involves portraying technology as an intervention into the relationship between human agents and organizational structure, which potentially changes it (see Figure 3). Barley  employed a longitudinal field study to examine the introduction of similar radiographic technology into different organizations. Within each organization, he found that the technology triggered a change in departmental structure by altering institutionalized roles and patterns of interaction. By comparing two organizations and determining that they responded differently to the implementation of a similar technology, Barley [1986:107] effectively demonstrated that: "Technologies do influence organizational structures in orderly ways, but their influence depends on the specific historical process in which they are embedded." From this point of view, the context influences the meaning that you can use information technologies and communication in the teaching, the student, the parent, the director, administrative staff, etc.. But the contexts in developed countries are neither stable nor are articulated so that, from the reference cited above, it is possible to induce that do not exist, to date, where "copies" of using technology information and communication in any educational experience. But in that sense, I find very helpful links experience in Chile. It is very likely that you meet her. In that case the joint context: private enterprise and university education system seems to have worked "well" in formal terms of what statistics can show us but still the same educational system, which as you have mentioned, is amplified its characteristics and modalities. I think, from reading other discussion groups, that the trend and the actual use of a computer in the classroom is in the simulation, 3D video games in first person, where you can get the student to a situation controlled and stimulating to the brain that hardly a teacher, who is better qualified, could generate;: but he is the only one who could be invited to reflect and question the decisions taken by the student. Maybe it's the teacher's role and do not yet know which is opposite to the functions performed today in most educational institutions in the world. But we can not appreciate that there are no contexts designed for these experiences. This argument rests on an analysis made last year on some documents called learning sessions in a school of public management. In them, the teacher defines what you will do with computers and Internet access for their classes. What I found was that the teacher is still anchored to the oral tradition and written tradition and favors these forms over others that may be provided by the Internet, video, hypertext, multimedia, hypermedia, etc.. But this situation exists and is perpetuated by the context (the educational institution in particular and the general education system) privileges the written record of digital innovation on the traditional and known over the unknown. you can see one picture about the results. I think we're at the point where the printing press was invented. At that moment when all communication stopped privileging orality and converted to letters, paper, ink and printing. Only considering radical changes in how we communicate, transmit and record the learning will be possible to consider where a computer can be used with utility within an educational institution but perhaps not as we know them today. Orlikowski, W. J. (1991). The Duality of Technology : Rethinking the concept of technology in organizations., 56. Barley, S. R. (1990). The alignment of technology and structure through roles and networks. Administrative Science Quarterly, 35(1), 61–103. Technology may not be changing education, but it is undeniable that technology is present in every aspect of our modern lives, and children use it and appropriate it naturally. Children today are not the same and the educational system has failed to recognize that change. Yes, technology has not changed education in the ways we have imagined [I think it is in part because of the narrow vision people have of the role of technology in education, which then drives its implementations], but that doesn’t mean educational systems shouldn’t change. I will write more about what I think the role of technology is in education in my separated debate document, but I will say now, that without technology it is impossible to go beyond the simple memorization of more complex concepts. I can see a change in education to a modern education that doesn’t include the powerful use of technology. I recommend here the article by Cristobal Cobo on invisible learning. Thanks, @callurrea. I think your comment is related to the "21st century skills" comment I addressed above. There's a difference between learning how to use tools and learning the basics that would allow you to use new tools effectively. There are lots of technologies in the world that we don't learn how to use in school for the most part. ATMs, subway ticket machines, DVD players, television sets, mobile phones, automobiles, lawn mowers, power drills, etc. Yet, we don't worry that our children won't be able to use them when they grow up. In fact, a good education teaches them how to learn, so that they don't have to have learned all the technologies they'll encounter as an adult. We didn't grow up with Facebook, Twitter, Amazon, eBay, or Google, and yet we are able to use them — because we had a good foundational education. On the other hand, I have personally taught people how to use Google who didn't then know what to do with it, because their foundational education (e.g., reading and comprehension) were so poor. statements like these "The sad reality, our students in developing countries, with the last century education they are receiving, have no place in this lab." are guided by ignorance. Many people's understanding of developing countries is limited to what they see on CNN. Thanks for the thought-provoking piece, Kentaro. I have posted a long-ish comment (of sorts) over on the World Bank's EduTech blog at http://blogs.worldbank.org/edutech/costs-of-not-i…. Thanks, Mike — I posted a reply there, as well. Thanks, Kentaro, for laying out such a clear argument. I do feel that the debate stemming from this essay is too focused on ICT and does not incorporate all the potential societal outcomes of the content accesable through this specific set of technologies. When somebody says that "kids have a natural appropiation of tech" the point missing is that kids do use technologies under the structural setting of a technological system, that comes with a group of understandings and expectations. The fact that a kid learns to use the Internet for accessing videoclips on YouTube does not mean that he or she will use those skills gained for purposes that are not in his / her understanding of the technical system, that is for entertainment, as a separate realm to learning. Also, I do think that the focus, and starting point of any educational debate, should be the kind of goals and objectives we are trying to achieve with education, and then decide what can ICT may bring to achieve them; as such, ICT4E has to be in service of those educational goals, and perhaps it is not the case in many situations. I said many years ago that my main criticism to OLPC is the way it changes the question as to fit the tool proposed, thus proposing a solution for a problem defined around the tool. I still think it is the wrong way to approach the potential benefits of using ICT for any educational program. Thanks, Eduardo! Great comments. I agree that you really should start with the educational goals in mind, and then ask how ICT might be able to contribute. Too many of the arguments to use technology in schools are not clear on what the concrete benefits would be. Does the digital divide still exist? To read this thread you wouldn't think so. Knowledge is power, and access to information means less disease, better nutrition, more innovation, better long-term human development outcomes. Access to the tools of communication mean the poor and silent majorities can make their voice heard and mobilise for change for the global common good. In a digital and digitised global economy, please add information literacy to the pedagogical canon: the ability to access data, to find and use information and turn it ito skills and knowledge and services. We cannot expect a child to magically embrace this maelstrom the day she finishes school (if she attends school at all). We need to prepare children for the world we are bequeathing them, not throw them into the deep end to sink or swim. There’s a social, economic and moral imperative for the top billion with internet access to ensure the bottom billion get it as soon as possible. This can't happen without access to technology. As US Sec of State Hillary Clinton said one year ago to the day, the right to connect can now be defined as a new fundamental human right. (http://www.state.gov/secretary/rm/2010/01/135519.htm). But we need more than the right to connect, we need the tools to do so. We hear talk in the developed world about digital immigrants and digital natives. Right now hundreds of millions of kids in the developing world are digital orphans. Are we going to just sit around talking while they get left behind? This debate is conducted in a luxurious context: its called online. The vast majority of people who would state their desire here for putting technology into their schools currently don't have access to the technology to say so. Thanks for your comments, Michael. Given that you are critically involved in OLPC, you obviously believe strongly in the mission, and it would be pointless for me to try to persuade you. I'm hoping, after the other articles in this series are in, to start a discussion where we can perhaps shrink the gap between where we agree and disagree, so that we don't become as bad as the U.S. Congress. For example, I agree that there are ways to use computers in schools such that children will benefit more than if they don't have the computers. Presumably you do, too. At the other extreme, I very much doubt that just handing a laptop a five-year-old child in a "typical" household where the parents are illiterate and earning less than $2 a day will accomplish much. Hopefully, you'll agreem also (though some of your OLPC colleagues might not). For example, if OLPC in its current form were to cost $10000 per child, would it be worthwhile in Vanuatu? I, of course, don't think so, but would you? You might, and if you did, what about at $100,000 per child? Conversely, if you didn't, what about at $1000 per child? At some point, we'll find a number where you and I both agree — an $X OLPC per child in Vanuatu wouldn't make sense. Similarly, for a US school that spends $8000 per child and where the 4th graders are able to do what 4th graders are supposed to be able to do, would I object to $100 per student on a PC? Probably not. $1000? Maybe. $4000? Definitely. Etc. I think we could carve out more agreement. Kentaro, it's unclear when you say, "pointless to try to persuade me." To persuade me about what?? Not to believe in the OLPC mission? Which part of the mission I should not believe in? Also you haven't addressed my point which is this discussion ignores the human rights aspect and social justice imperative to bridging the digital divide. Not the micro-economics, the principle. What's your view on this? Should we leave it up to market forces? With all respect, Kentaro, it's irrelevant whether we agree on anything. If we're going to decide these issues through opinion, it's all the more crucial that all the stakeholders' voices are heard. Or that we acknowledge when they are clearly absent from "debate". Well, yes… it seems unlikely that I could persuade you that the use of $188 per child on a laptop is an unfortunate use of that money in many very poor contexts, where other needs are far more dire. But, of course, the converse is also true: it seems unlikely that you could convince me of the opposite assertion. (…cont'd) But, where you and I disagree is whether it makes sense to call computer literacy a "human right." The problem with rights is that they are black and white. Once you decide something is a right, there can be no more discussion about whether provision of it makes sense *relative* to something else that competes for the same resources. A right is non-negotiable, which is exactly why you seem unwilling to engage in the nitty-gritty of what you're calling "micro-economics." Unfortunately, we have to prioritize, because resources are limited. Many things could be rights, but we're not even able to provide those rights for things that you and I would probably agree to be rights… such as clean water and decent nutrition. (And, these are things which, incidentally, directly contribute to better attendance and performance at school.) Given multiple unmet rights, should we add another one on top? And, if we do, how do we choose among them, when resources are scarce? "Do them all" is not a practicable answer. So, I offerred one way, which was to focus on cost. Ultimately, though, we'd need to focus on cost-effectiveness. Thank you for this thoughtful article. I applaud you for taking a strong stance on the education-technology relationship not just in this article but also in your career choice. The only discomforting part I find with this article is the non existent mention of the ease of creating technology versus the difficulty of creating a good teacher. I wish this article was more on what we could do and less of what we shouldn't. As a computer scientist, you probably know that improving the worst case performance is often the wise thing to do as a team can only go as fast as its slowest runner. Lets be realistic here and not idealistic. Consider India's situation currently, having worked in low-income schools within India I learnt the hard way that creating motivation in teachers was orders of magnitude harder than creating motivation in students. Even using the extra money saved by not investing in technology as an incentive only lures a certain materialistic strata of teachers, the types that are unlikely to create motivation in students . Given the fact that finding the right teachers both in terms of quality and quantity is a task that is extremely hard to implement on a global scale in India, just as hard in some sense as implementing productive technology globally; do you not think that technology is a good alternative even if its a bad replacement for good teachers. By technology I don't mean undirected technology, I mean intentful technology can help fix broken systems, such as creating firewalls to ensure that children don't waste their time on the internet etc. The intent in this case can be remote. Technology can be created fast and constantly, teachers cannot. So while I agree technology cannot fix a bad education system as a whole, it can create a virtual environment of a good education for its students. I apologize for not including more about what we should do, but as it was, the article was on the long side — I am actually writing a book about what I think we should focus more on, but it says very little about technology. Also, for how to run a good educational system, it's worth referring to places that do them well (e.g., http://www2.law.columbia.edu/sabel/Individualized…. I disagree that a bad technology replacement is better than even the small benefit you might achieve in improving teachers (or buttressing them with very inexpensive assistants, as for example, studied here: http://www.cepr.org/meets/wkcn/3/3515/papers/dufl… though the details certainly matter. I would rather see small increments in quality of teaching, than trying to scale mediocre solutions as far as possible. One of the worst things about our society's technology fetish is that we think everything has an easy solution (and when if it doesn't, we keep searching for one, instead of just getting on with the hard task). Which is one reason why I deliberately titled this article "There are no shortcuts…!" Thanks, webrunus… coming back for more! I have met Sugata Mitra, and I'm familiar with the Hole-in-the-Wall project. I think it's a great demonstration of just how much kids can learn on their own. However, it's also a demonstration of how much kids won't learn on their own — most kids won't learn how to read, do their multiplication tables, solve quadratic formulae, recite Shakespeare, learn Indian history, etc., simply by being provided a computer with Internet access. One way I think of this is, if this is such a great way to learn, why do parents in the developed world bother with school? They can just sit their kids in front of a connected PC for a few hours a day, and be done with it. Kids need good adult guidance and mentorship, even if it's only to provide encouragement, inspiration, and occasional discipline. But, those things are hard even for people to provide, and incredibly hard for technology to provide, especially day after day, year after year. I have known Sugata over a couple decades and I am really glad his work has earned him accolades from all over.. But I have often wondered, and may be someone can explain, how is different from learning from Nintendo? Nintendo did not offer a manual and children were so happy using it. What did the "Hole in the Wall" prove that was not proved by Nintendo? That the poor kids of India could do at 12 what the privileged children do at 3 years? Glad if someone can offer alternate views of what they see in it. Just one observation from the field to add to the discussion. In an interview, a teacher at a residential school specifically for the disabled (both mentally and physically) in rural Transkei in South Africa shared an anecdote. She pointed to a crude sketch of an ATM that they used to teach basic life skills to their students and said that it often took years before the children were able to get their numbers right. However ever since they all got mobile phones (they receive special grants from the South African government) they had all figured out their numbers, how to maximize the use of their phones *and* often showed her how to use hers or top up her airtime or some such assistance. She said she'd been teaching here for 35 years and had never seen anything like it, until the phones came. Anecdata at best, but it always makes me think. Personally I feel that ICT has its effectiveness in Education especially in the modern era. The problem is not the technology but rather how we apply the technology. Many projects did not look into the practical aspects of using ICT in classrooms. Let us take for example the one laptop per child preposition. It is really impractcal to have each child a computer in the classrooms most of which are very poorly suited to allow a netbook (with power suppliers) in each desk. Further students would be very much distracted by the netbooks. Attention to the teachers would be lacking. Further not all subjects need the use of computers nor not all subjects are suitable to use computers. Computers are very ideal to quickly test students and have proven to be effective. I do agree many ICT projects for Education failed not because ICT is not effective but rather the failure to apply the right technology to most projects in the world. The point on using ICT in areas where qualified teachers are lacking is very valid indeed. This has been proven. To suggest that technology should be ignored in education (by any means such as moving focus elsewhere) is to say that it is all right to ignore it in life. The trouble with the main thesis here is that the two cannot and therefore should not be separated in any meaningful way. Education, whether vocational or in the abstract, is a process of development which is forward-thinking. Teaching and learning should be forward-thinking and assume the environment of learners, both present and future. I just completed my doctorate research using a grounded theory approach on teacher decision-making in regard to technology use and my main conclusion was that teachers simply do "what works" to balance their intrinsic and extrinsic goals. Like Kentaro's thrust here, I found that teachers lacked the training both theoretically and practically to use technology but managed some pretty amazing results nonetheless. But this was only part of the picture which unfolded. Yesterday i was with my 2.5 year old grandson who wanted to see IDOL program winner on my laptop. His 1 year younger sister was as usual with us and clicked the pictures she liked. The same evening tv- news tell that 30 % of 3 year old children use computers to see their favorites.The videoclick had 1 year old child who clicked on the magazine and wasnt happy because the "tablet " didnt answer. We educate teacher trainers online in Rwanda. They need to see how learning can be extended to all kind of digital tools and how expertize can be found outside the classes. How content can be found on the net. How learning happens is the main task to answer. ICT is supporting our task and it offers inclusive education for all. A great article with some common-sense wisdom. The lack of empirical evidence to justify the leap of faith into the laptop-based learning environment is important. The lessons from developing countries are critical simply because there seems to have been more quantitative research there than in 'developed' countries. Myth No. 10 must be that "there is plenty of data that supports the head-long rush into the use of tablets/laptops/iBooks in classrooms" when in fact there appears to be little objective assessment and a dearth of peer-reviewed data supporting such a conclusion. The notion that ICT improves the education outcome – in public or private, well endowed or struggling systems – appears largely unfounded and the impact on the current generation's ability to think critically is dubious. Certainly would like to hear some more positive results but Kentaro's findings bare out what I have witnessed through the eyes of my own children. sometimes, we just have to go with the flow of what technology is treating in thew field..
Nice article.. There are no technology shortcuts to good education. For primary and secondary schools that are underperforming or limited in resources, efforts to improve education should focus almost exclusively on better teachers and stronger administrations. Information technology, if used at all, should be targeted for certain, specific uses or limited to well-funded schools whose fundamentals are not in question. I've been teaching geometry at the high school level for 13 years and about seven years ago noticed a shift in students' ability to process visual math information. They completely lacked the initiative to physically interact with diagrams by drawing, tracing, underlining, marking and the like. For my masters, I did a literature review and the neurological changes happening in this first fully digitally native generation. I subsequently followed up with an action research project. Bottom line, the ubiquitous use of technology, especially at the elementary level, is doing more harm than good in my research. I would LOVE to hear from other math teachers, especially geometry teachers, about the neurological changes and subsequent critical thinking changes you have been seeing in your students over the last couple of year.